Here is a list of all the published work that has been generated by our group over the last few years. Go to the ‘Research‘ page to look at members profiles and specific work interests. Curr. Opin. Chem. Biology 22, 22, 1-11 (2014). Angew. Chemie. Int. Ed 52, 155-162 (2013). Acc. Chem. Res 45, 2131-2141 (2012). Chem. Soc. Rev 41, 79-85 (2012). Wang S, Li M, Patil AJ, Sun S, Tian L, Zhang D, Cao M and Mann S.
J. Mater. Chem. A 5, 24612-24616 (2017). Douliez J P, Martin N, Gaillard C, Beneyton T, Baret J-C, Mann S and Béven L.
Angew. Chemie 56, 13689-13693 (2017). Dou H, Li M, Qiao Y, Harniman RL, Li X, Boott CE, Mann S and Manners I. Nature Communications 8, Article number: 426 (2017). doi:10.1038/s41467-017-00465-z 16, 857–863. Watkins DW, Jenkins JM, Wood N, Grayson K, Le Vay K, Armstrong CT, Goodwin M, Crump M, MacMillan F, Mulholland AJ, Sessions RB, Mann S and Anderson JLR. Nature Comm. 8: 358 (2017) doi:10.1038/s41467-017-00541-4. Rodríguez-Arco L, Li M and Mann S.
Nature Materials 16, 857–863 (2017). Qiao Y, Li M, Booth R and Mann S.
Nature Chemistry 9, 110-119 (2017). Wang L, Wen P, Zhou Y, Liu X, Li M, Huang Y, Geng L, Mann S and Huang X.
Chem Comm. 53, 8537-8540 (2017). Wen P, Liu X, Wang L, Li M, Huang Y, Huang X and Mann S.
Okamoto T, Patil A J, Nissinen T and Mann S.
Gels 2017, 3, 11; doi:10.3390/gels3010011110-119. Farrugia T, Perriman A W, Sharma K P and Mann S.
Chem Comm. 53, 2094-2097 (2017). Martin N, Sharma K P, Harniman R L, Richardson R M, Hutchings R J, Alibhai D, Li M and Mann S.
Light-induced dynamic shaping and self-division of multipodal polyelectrolyte-surfactant microarchitectures via azobenzene photomechanics. Scientific Reports 7:41327, DOI: 10.1038/srep41327 (2017). Tian L, Martin N C , Bassindale P G, Patil A J, Li M, Barnes A, Drinkwater B W and Mann S.
Spontaneous Assembly of Chemically Encoded Two-dimensional Coacervate Droplet Arrays by Acoustic Wave Patterning. 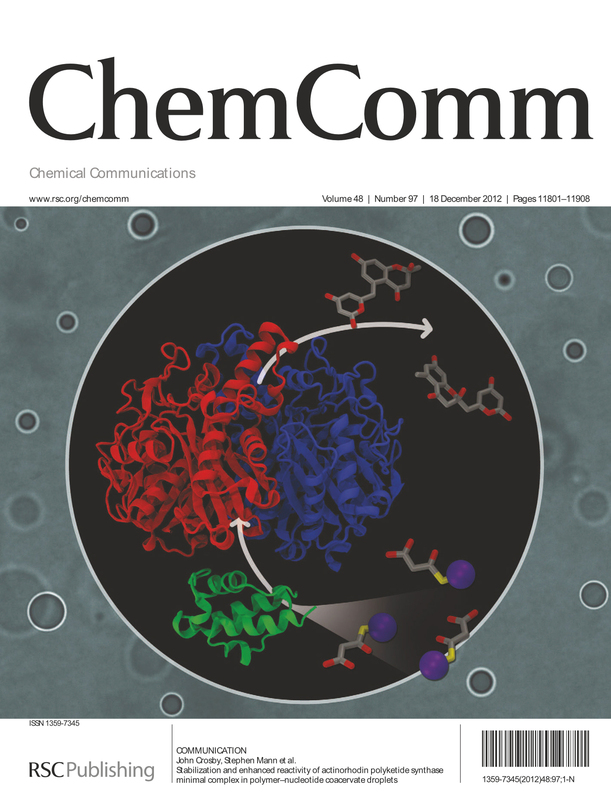 Watkins D W, Armstrong C T, Beesley J, Marsh J, Jenkins J, Sessions R, Mann S and Anderson J L R.
A Suite of de novo c-type Cytochromes for Functional Oxidoreductase Engineering. Biochim. Biophys. Acta: 1857, 493-502 (2016). Martin N, Li M and Mann S.
Krishna Kumar R, Harniman R L, Patil A J, Mann S.
Chemical Sci. 7, 5879-5887 (2016). Liu X, Zhou P, Huang Y, Li M, Huang X and Mann S.
Hierarchical Proteinosomes for Programmed Release of Multiple Components. Sun S, Li M, Dong F, Wang S, Tian L and Mann S.
Akkarachaneeyakorn K, Li M, Davis S A and Mann S.
Adv. Mater. 28, 1597-1602 (2016). Yin Y, Niu L, Zhu X, Zhao M, Zhang Z, Mann S and Liang D.
Nature Commun. 7, 10658, 1-7 (2016); DOI:10.1038/ncomms10658 1-7 (2016). Materials Science Forum, 840, 213-219 (2016). Armstrong J P K, Olof S N, Jakimowicz, M D, Hollander A P, Mann S, Davis S A, Miles M J, Patil A J and Perriman A W.
Cell paintballing: optically targeted delivery of biomolecules to individual cells using coacervate microdroplets. Chem. Sci. 6, 6106-6110 (2015). Bulpett J, Snow T, Quignon B, Beddoes C, Tang T-Y D, Mann S, Shebanova O, Pizzey C, Terrill N, Davis S A and Briscoe W.
Soft Matter 11, 879-8800 (2015). Guli M, Li M, Yao J and Mann S.
J. Mater. Sci. 50, 7026-7030 (2015). Wood N J, Jenkinson H F, Davis S A, Mann S, O’Sullivan D J and Barbour M E.
Chlorhexidine-hexametaphosphate Nanoparticles as a Novel Antimicrobial Coating for Dental Implants. J. Mater. Sci: Mater. Med. 26, 201-205 (2015). Sharma K P, Risbridger T, Bradley K, Perriman A W, Fermin D J and Mann S.
Thomas M R, Hallett J E, Klein S, Mann S, Perriman A W, Richardson R. M.
Mol. Cryst. Liq. Cryst. 610, 44-50 (2015). van Swaay D, Tang T-Y D, Mann S, and deMello A.
Microfluidic Formation of Membrane-Free Aqueous Coacervate Droplets in Water. Angew. Chem. Int. Ed. 54, 8398-401 (2015). Tang T-Y D, van Swaay D, deMello A, Anderson J L R, and Mann S.
In Vitro Gene Expression Within Membrane-free Coacervate Protocells. Chem Commun. 51, 11429-11432 (2015). England M W, Patil A J and Mann S.
Chem. Eur. J. 21, 9008-9013 (2015). Armstrong J P K, Horne J P, Armstrong C T, Lau K, Seddon A M, Mann S, Anderson J L R, Perriman AW and Hollander A P.
Senior L, Crump M P, Williams C, Booth P J, Mann S, Perriman A W and Curnow P.
Structure and Function of the Silicifying Peptide R5. J. Mater. Chem. B 3, 2607-2614 (2015). Lv K, Perriman A. W and Mann S.
Photocatalytic multiphase micro-droplet reactors based on complex coacervation. Chem Commun 51, 8600-8602 (2015). Teulle A, Bosman M, Girard C, Gurunatha K L, Li M, Mann S, Dujardin E.
Huo C, Li M, Huang X, Yang H, Mann S.
Membrane Engineering of Colloidosome Micro-compartments using Partially Hydrophobic Mesoporous Silica Nanoparticles. 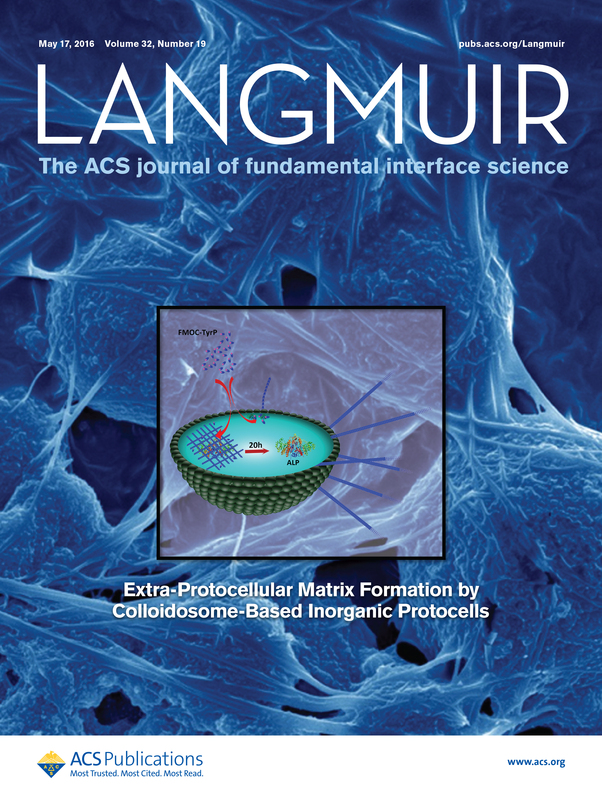 Fothergill J, Li M, Davis S A, Cunningham and Mann S.
Akkarachaneeyakorn K, Li M, Harris J, Davis S A and Mann S.
Bioactive Hybrid Organogels based on Miniemulsion Synthesis of Morphologically Complex Polymer/Surfactant/Calcium Phosphate Nanostructures. Chem. Mater. 26, 5965-5972 (2014). Brogan A P S, Sessions R B, Perriman A W, Mann S.
Brogan A P S, Sharma K P, Perriman A W and Mann S.
Sharma K P, Zhang Y, Thomas M, Brogan A P S, Perriman A W and Mann S.
Self-organization of Glucose Oxidase-polymer Surfactant Nano-constructs in Solvent-free Soft Solids and Liquids. J. Phys. Chem. B 118, 11573-11580 (2014). Li M, Huang X and Mann S.
Spontaneous growth and division of self-reproducing inorganic colloidosomes. Kaus N H M, Collins A M, Bikondoa O, Cresswell, P T, Bulpett J M, Briscoe W H and Mann S.
In situ X-ray Reflectivity Studies of Molecular and Molecular-Cluster Intercalation within Purple Membrane Films. Huang X, Patil A J, Li M and Mann S.
Li M, Huang X, Tang T-Y D and Mann S.
Curr. Opin. Chem. Biology 22, 1-11 (2014). Tang T-Y D, Hak C R C, Thompson A J, Kuimova M K, Williams D S, Perriman A W and Mann S.
Fatty Acid Membrane Assembly on Coacervate Micro-droplets as a Step towards a Hybrid Protocell Model. 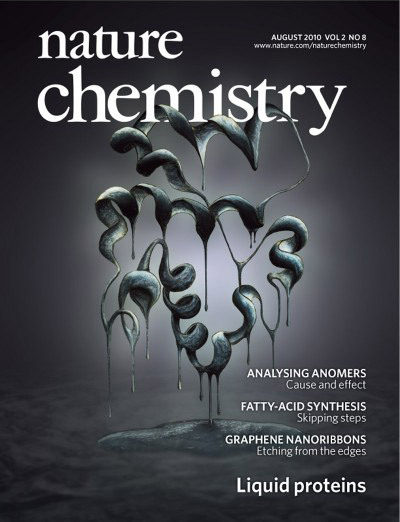 Nature Chemistry 6, 527- 533 (2014). Huang X, Li M and Mann S.
Chem. Commun 50, 6278-6280 (2014). McGrath N, Schacher F H, Qiu H, Mann S, Winnik M A and Manners I. In situ Precipitation of Amorphous and Crystalline Calcium Sulphates in Cellulose Thin Films. Zou Q, Zhang Lu, Yan X, Wang A, Ma G, Li J, Möhwald H and Mann S.
Angew. Chemie Int. Ed. 53, 2366-2370 (2014). Redox Transitions in an Electrolyte-free Myoglobin Fluid. Directing Chondrogenesis of Stem Cells with Specific Blends of Cellulose and Silk. 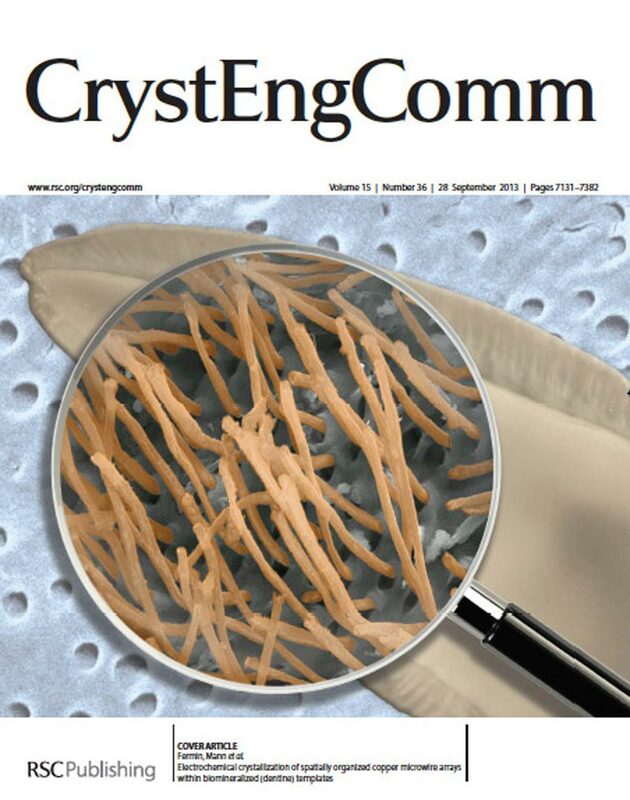 McGrath N, Patil A J, Watson S M D, Horrocks B R, Faul C F J, Houlton A, Winnik M A, Mann S and Manners I.
Conductive, Monodisperse Polyaniline Nanofibers of Controlled Length using Well-Defined Cylindrical Block Copolymer Micelles as Templates. Eur. J. Chem. 19, 13030-13039 (2013). Apoferritin-Encapsulated PbS Quantum Dots significantly inhibit growth of Colo-Rectal Carcinoma cells. J. Mater. Chem. B. 1, 6254-6260 (2013). Brogan A P S, Sharma, K. P, Perriman A W and Mann S.
Isolation of a Highly Reactive β-sheet-rich Intermediate of Lysozyme in a Solvent-free Liquid Phase. J. Phys. Chem B, 117, 8400–8407 (2013). Enhanced Catalytic Activity in Organic Solvents using Molecularly Dispersed Haemoglobin-polymer Surfactant Constructs. Chem Commun. 49, 9561-9563 (2013). Electrochemical Growth of Spatially Organized Copper Microwire Arrays within Biomineralized (Dentine) Templates. Integrative Self-assembly of Functional Hybrid Nanoconstructs by Inorganic Wrapping of Single Biomolecules, Biomolecule Arrays and Organic Supramolecular Assemblies. Nanoscale 5, 7161-7174 (2013). Liu X, Wei W, Huang S, Lin S-S, Zhang X, Zhang C, Du Y, Ma G, Li M, Mann S and Ma D.
Bio-inspired Protein-gold Nanoconstruct with Core-void-shell Structure: Beyond a Chemodrug Carrier. J. Mater. Chem B. 1, 3136-3143 (2013). 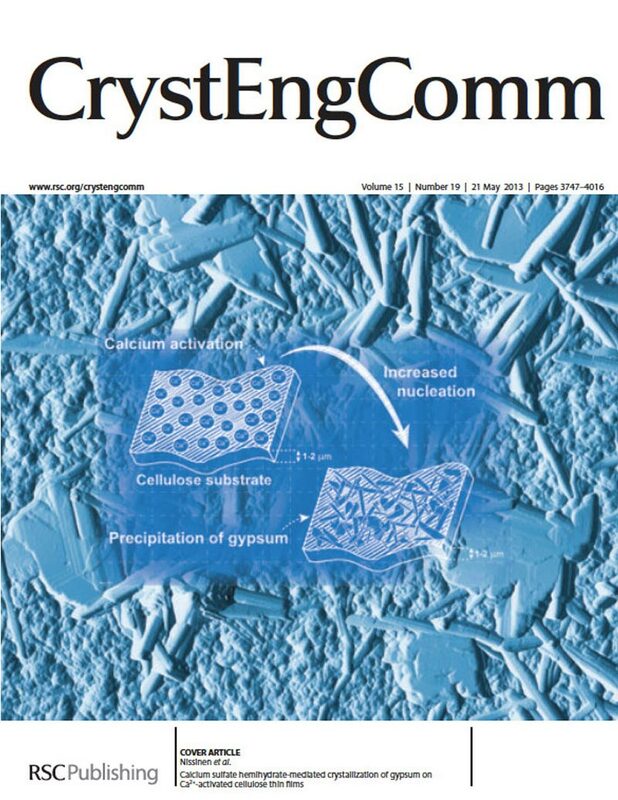 Raghunathan V K, Devey M, Hawkins S, Davis S A, Mann S, Chang I, Ingham E, Malhas A, Vaux D, Lane J D and Case C P.
Calcium Sulfate Hemihydrate-mediated Crystallization of Gypsum on Ca2+-activated Cellulose Thin Films. Adv. Mater. 25, 2005-2010 (2013). Muskens O L, England, M W, Hyett S J, Li M and Mann S.
Plasmonic Response of Au- and Ag-infiltrated Cross-linked Lysozyme Crystals. Adv. Funct. Materials 23, 281-290 (2013). Yang H, Li M, Fu L, Tang A and Mann S.
Controlled Assembly of Sb2S3 Nanoparticles on Silica/polymer Nanotubes: Insights into the Nature of Hybrid Interfaces. Olof S N, Grieve J A, Phillips D B, Rosenkranz H, Yallop M L, Miles M J, Patil A J, Mann S and Carberry D M.
Measuring Nanoscale Forces with Living Probes. Fabrication of Polypyrrole Nano-arrays in Lysozyme Single Crystals. Hongthani W, Patil A J, Mann S and Fermín D J. Contrast in Electron Transfer Mediation between Graphene Oxide and Reduced-Graphene Oxide. 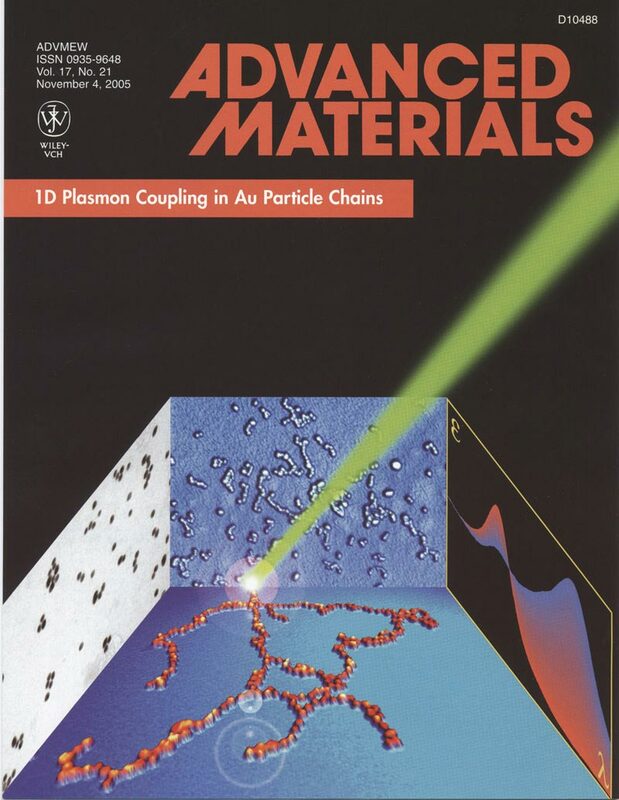 Bulpett J M, Collins A M, Kaus N H M, Cresswell P T, Bikondoa O, Walsh D, Mann S, Davis S A, and Briscoe W H.
Interactions of Nanoparticles with Purple Membrane Films. J. Mater. Chem. 22, 15635-15643 (2012). Chem. Commun. 48, 7934-7936 (2012). Thomas M, Klein S, Greasty R, Mann S, Perriman A W and Richardson R M.
Nematic Director-Induced Switching of Assemblies of Hexagonally Packed Gold Nanorods. Adv Mater. 24, 4424-4429 (2012). Patil A J, McGrath N, Barclay J E, Evans D J, Cölfen H, Manners I, Perriman A W and Mann S.
Liquid Viruses by Nanoscale Engineering of Capsid Surfaces. Adv. Mater. 24, 4557-4563 (2012). 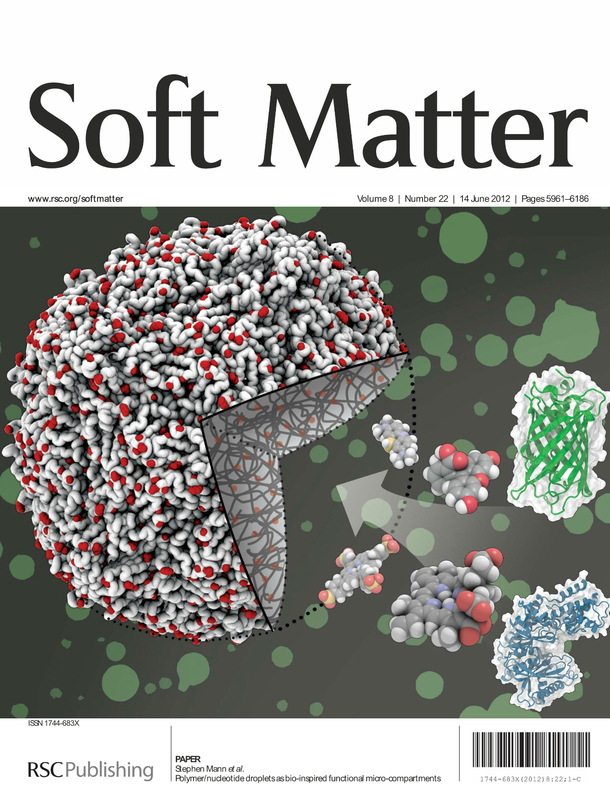 Gallat F X, Brogan A P S, Fichou Y, McGrath N, Moulin M, Härtlein M, Combet J, Wuttke J, Mann S, Zaccai G, Jackson C J, Perriman A W and Weik M.
A Polymer Surfactant Corona Dynamically Replaces Water in Solvent-Free Protein Liquids and Ensures Macromolecular Flexibility and Activity. Brogan A P S, Siligardi G, Hussain R, Perriman A W and Mann S.
Hyper-thermal Stability and Unprecedented Re-folding of Solvent-free Liquid Myoglobin. Chem. Sci. 3, 1839-1846 (2012). Chem. Commun 48, 11832-11834 (2012). 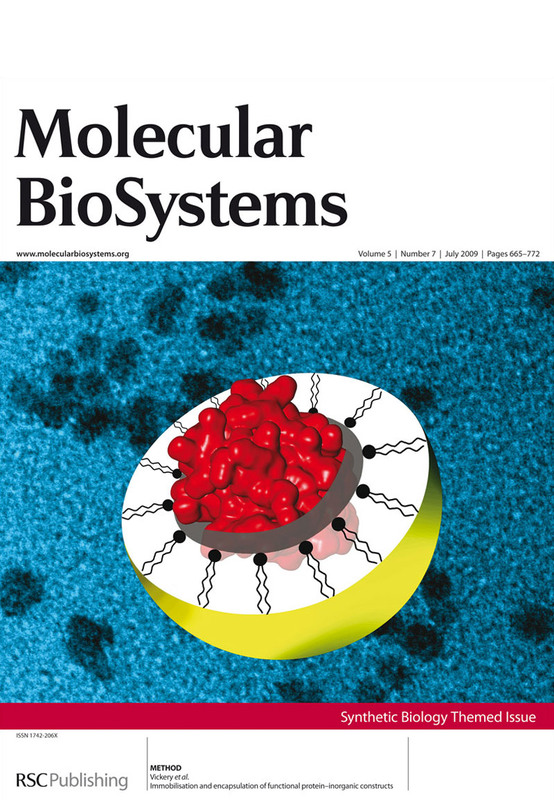 Williams D S, Koga S, Hak C R C, Majrekar A, Patil A J, Perriman A W and Mann S.
Polymer/nucleotide Droplets as Bio-inspired Functional Micro-compartments. Soft Matter 8, 6004-6014 (2012). Turyanska L, Bradshaw T D, Li M, Bardelang P, Drewe W C, Fay M, Mann S, Patanè A and Thomas N R.
J. Mater. Chem. 22, 660-665 (2012). Patil A J, Lee Y-C, Yang J-W and Mann S.
Mesoscale Integration in Titania/J-aggregate Hybrid Nanofibres. Angew. Chemie Int. Ed. 51, 733-737 (2012). Turyanska L, Makarovsky O, Patanè A, Kozlova N, Liu Z, Li M and Mann S.
High Magnetic Field Quantum Transport in Au Nanoparticle-cellulose Films. Nanotechnology 23, 045702 (1-5) (2012). J. Mater. Chem. 21, 1250-1254 (2011). Chemical Science. 2 1739-1745 (2011). Angew. Chemie Int. Ed. 50 9343-9347 (2011). Nature Chemistry. 3 720-724 (2011). Green Chemistry 13, 272-275 (2011). Fabrication of Functional Bioinorganic Nanoconstructs by Polymer-silica Wrapping of Individual Myoglobin Molecules. Fletcher J, Walsh D, Fowler C E and Mann S.
Electrospun Mats of PVP/ACP Nanofibres for Remineralization of Enamel Tooth Surfaces. 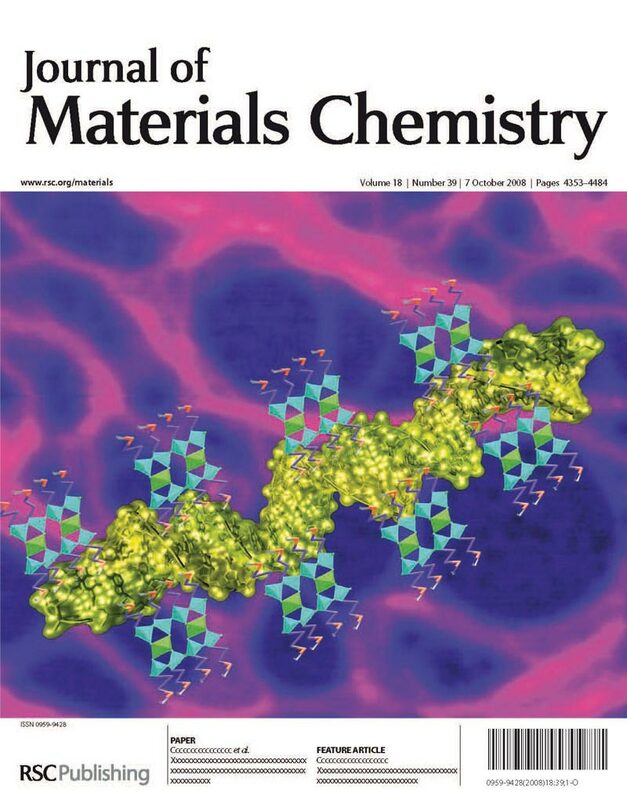 Ghasparian A, Riedel T, Koomullil J, Moehle K, Gorba C, Svergun D I, Perriman A W, Mann S, Pluschke G, Robinson J A.
Martin J E, Patil A J, Butler M F and Mann S.
Guest molecule-directed Assembly of Mesostructured Nanocomposite Polymer/organoclay Hydrogels for Sustainable Drug Release. Adv. Funct. Mater. 21, 674-681 (2011). Li M, Johnson S, Guo H, Dujardin E and Mann S.
A Generalized Mechanism for Ligand-Induced Dipolar Assembly of Plasmonic Gold Nanoparticle Chain Networks. Adv. Funct. Mater. 21, 851-859 (2011). Choi S-J., Lee Y-C, Seol M-L, Ahn J-H, Kim S, Moon D-I, Han J-W, Mann S, Yang J W and Choi Y–K. Bio-inspired Complementary Photoconductor by Porphyrin-Coated Silicon Nanowires. Adv. Mater. 23, 3979-3983 (2011). Tris(8-hydroxyquinolinato)gallium(III)- loaded Copolymer Micelles as Cytotoxic Nanoconstructs for Cosolvent-free Organometallic Drug Delivery. Dash J, Patil A J, Das R N, Dowdall F L and Mann S.
Supramolecular Hydrogels Derived from Silver Ion-mediated Self-assembly of 5/-Guanosine Monophosphate. 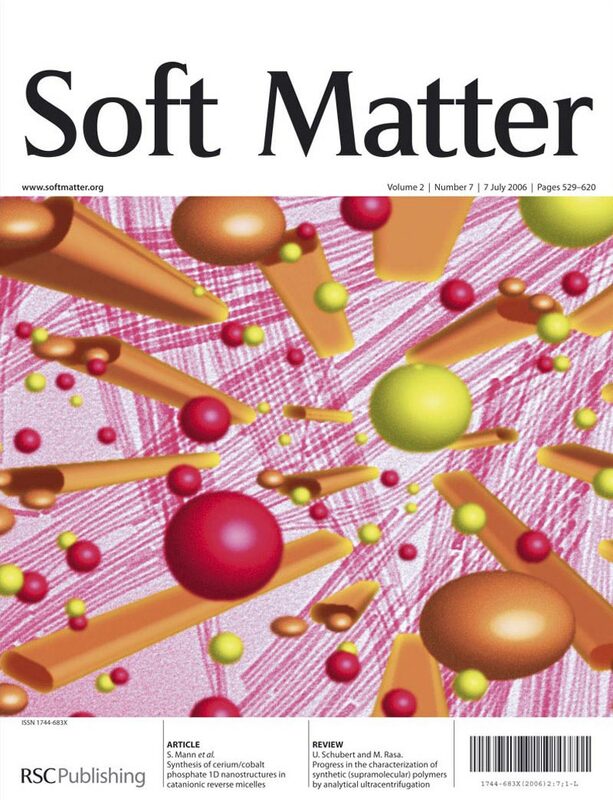 Soft Matter 7, 8120-8126 (2011). Perriman A W and Mann S.
ACS Nano 5, 6085-6091 (2011). Zhang W, Li M, Wang Q, Chen G, Kong M, Yang Z and Mann S.
Hierarchical Self-assembly of Microscale Cog-like Superstructures for Enhanced Performance in Lithium-ion Batteries. Adv. Funct. Mater. 21, 3516-3523 (2011). Fernandes R F, Dujardin E, Li M, Mann S and Kanaras A.G.
Ligand-mediated Self-assembly of Polymer-enveloped Gold Nanoparticle Chains and networks. ChemComm. Angew. Chemie Int. Ed. 49, 520-523 (2010). Microemulsion-mediated Self-assembly and Silicification of Mesostructured Ferritin Nanocrystals. Angew. Chemie Int. Ed. 49, 4100-4103 (2010). Chem. Mater. 22, 2675-2680 (2010). J. Phys. Chem B, 114, 2390-2398 (2010). Yu J, Xiang Q, Rang J, Mann S.
One-Step Hydrothermal Fabrication and Photocatalytic Activity of Surface-Fluorinated TiO2 Hollow Microspheres and Tabular Anatase Single Micro-crystals with High-Energy Facets. Bilgainya R, Khan F and Mann S.
Spontaneous Patterning and Nanoparticle Encapsulation in Patterned Carboxymethylcellulose /Alginate / Dextran Hydrogels and Sponges. Mater. Sci Engineer, C 30, 352-356 (2010). Perriman A W, Williams D S, Jackson A J, Grillo I, Koomullil J M, Ghasparian A, Robinson J A and Mann S.
Schnepp Z, Wimbush S C, Mann S and Hall S R.
Alginate-mediated Routes to the Selective Synthesis of Complex Oxide Nanostructures. Chem. Commun. 46, 4887-4889 (2010). Nature Chemistry 2, 622-626 (2010). J. Mater. Chem. 20, 5736-5741 (2010). Mesoscale Crystallization of Calcium Phosphate Nanostructures in Protein (Casein) Micelles. Assembly of Poly(methacrylate)/Purple Membrane Lamellar Nanocomposite Films by Intercalation and In-situ Polymerisation. J. Mater. Chem. 20, 9037-9041 (2010). Hails L A, Babister J C, Inglis S, Davis S A, Oreffo R O C and Mann S.
Inhibition of Hydroxyapatite Nanoparticle-Induced Osteogenic Activity in Skeletal Cells by Adsorption of Serum Proteins. Formation of Cobalt-Prussian Blue Nanoparticles in a Biopolymer Matrix. Collins A M, Skaer N J V, Gheysens T, Knight D, Bertram C, Roach T, Oreffo R O C, Von-Aulock S, Baris T, Skinner J and Mann S.
Bone-like resorbable silk-based scaffolds for load-bearing osteoregenerative applications. Adv. Mater. 21, 75-78 (2009). Processing and Near-field Optical properties of Self-assembled Plasmonic Nanoparticle Networks. J. Chem. Phys. 130, 034702-1-6 (2009). Green D W, Bolland B, Kanczler J, Lanham S, Walsh D, Mann S and Oreffo R O C.
Augmentation of skeletal skeletal tissue formation in impaction bone grafting using vaterite microsphere biocomposites. Wang H, Patil A J, Liu K, Petrov S, Mann S, Winnik M A, and Manners I. Fabrication of Continuous and Segmented Polymer/Metal Oxide Nanowires using Cylindrical Micelles and Block Co-micelles as Templates. Adv Mater. 21, 1805-1808 (2009). Bromley K M, Perriman A W, Patil A J and Mann S.
Soft Matter 5, 2183-2187 (2009). Vickery J L, Patil A J and Mann S.
Fabrication of Graphene-Polymer Nanocomposites with Higher-Order Three-Dimensional Architectures. J. Phys. Chem. C, 113, 10712-10717 (2009). Facile Preparation and Processing of Aqueous Dispersions of Tris-(8-Hydroxyquinoline) Aluminium (III) Photo-Luminescent Nanoparticles. J. Mater Chem. 19, 3950-3954 (2009). Immobilisation and Encapsulation of Functional Protein-Inorganic Constructs. Mol Biosyst. 5, 744-749 (2009). Turyanska L, Elfurawi U, Li M, Fay M W, Thomas N R, Mann S and Patanè A.
Tailoring the Physical Properties of Thiol-capped PbS Quantum Dots by Thermal Annealing. Nanotechnology 20, 315604 (pp. 1-5) (2009). Cai W, Yu J and Mann S.
Microporous Mesoporous Materials. 122, 42-47 (2009). Huang J, Wang W, Lin L, Li Q, Lin W, Li M and Mann S.
A General Strategy for the Biosynthesis of Gold Nanoparticles by Traditional Chinese Medicines. Chemistry- Asian Journal 4, 1050-1054 (2009). Zhang l, Patil A J, Li L, Schierhorn A, Mann S, Gösele U and Knez M.
Chemical Infiltration during Atomic Layer Deposition: Metallization of Porphyrins as Model Substrates. Angew. Chemie Int. Ed.48, 4982-4985 (2009). Perriman A W, Cölfen H, Hughes R W, Barrie C L and Mann S.
Protein Melts and Protein Liquid Crystals in Solvent-free Media. Angew. Chemie Int. Ed. 48, 6247-6250 (2009). Patil A J, Vickery J L, Scott T B and Mann S.
Aqueous stabilization and self-assembly of graphene sheets into layered bio-nanocomposites using DNA. Adv. Mater. 21, 3159-3164 (2009). Spontaneous Construction of Photoactive Hollow TiO2 Microspheres and Chains. Nanotechnology 20, 325606, (pp.1-7) (2009). Nature Mater. 8, 781-792 (2009). Turyanska L, Bradshaw T D, Sharpe J, Patanè A, Thomas N R, Li M, and Mann S.
The Biocompatibility of Apo-ferritin-encapsulated PbS Quantum Dots. 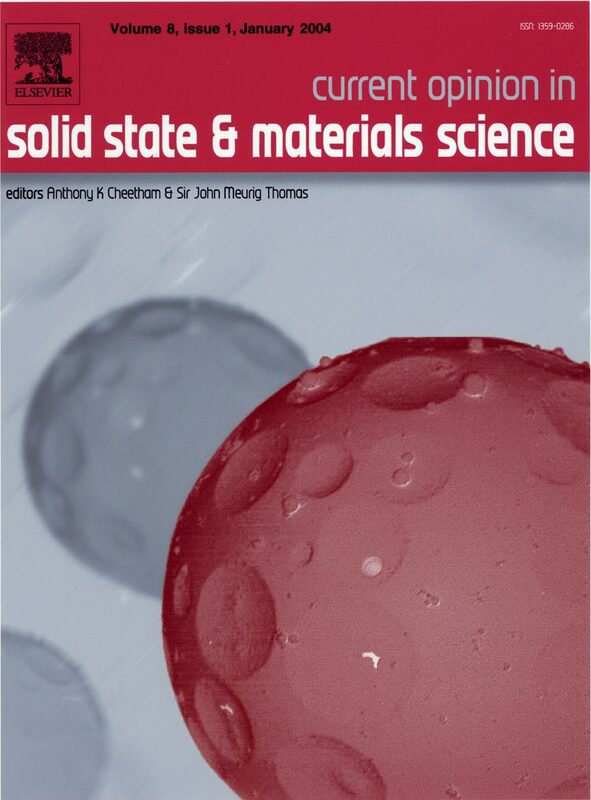 Khan F, Walsh D, Patil A J, Perriman A W and Mann S.
Soft Matter, 5, 3081- 3085 (2009). Li M, Oakley R, Bevan H, Smarsly B, Mann S, & Faul C.
J. Mater. Sci 44, 5806-5814 (2009). Khan F and Mann S.
J. Mater. Chem 19, 847-8483 (2009). Bhabra G, Sood A, Fisher B, Cartwright L, Saunders M, Evans W H, Surprenant A, Lopez-Castejon G, Mann S, Davis S A, Hails L A, Ingham E, Verkade P, Lane J, Heesom K, Newson R and Case C P.
Nanoparticles Can Cause DNA Damage Across a Cellular Barrier. Nature Nanotech. 4, 876-883 (2009). Yu J, Yu H, Guo H, Li, M and Mann S.
Babister J C, Tare R S, Green D W, Inglis S, Mann S and Oreffo R O C.
Adv. Mater. 20, 1782-1786 (2008). Life as a Nanoscale Phenomenon. Angew. Chemie Int. Ed. 47, 5306-5320 (2008). Patil A J and Mann S.
Self-assembly of Bio-inorganic Nanohybrids using Organoclays Building Blocks. J. Mater. Chem 18, 4605-4615 (2008). Sadasivan S, Patil A J, Bromley K, Hastie P G R, Banting G and Mann S.
Novel Protein/inorganic Nanoparticles Prepared by Inorganic Replication of Self-assembled Clathrin Cages and Triskelions. 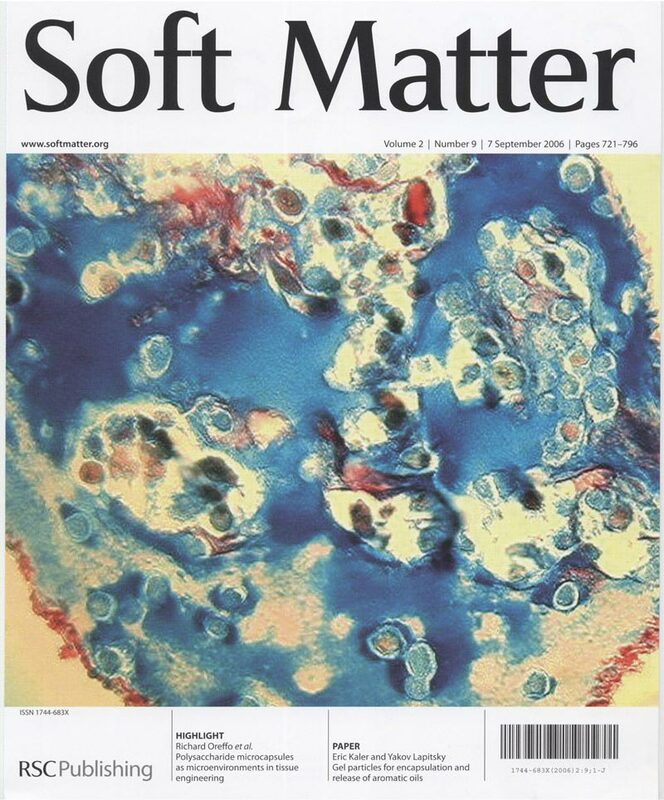 Soft Matter 4, 2054-2058 (2008). Hennequin B, Turyanska L, Ben T, Beltrán A M, Molina S I, Li M, Mann S, Patanè A and Thomas N R.
Biocompatible, aqueous near infrared fluorescent labels based on apoferritin-encapsulated PbS quantum dots. Adv. Mater. 20, 3592-3596 (2008). Bromley K M, Patil A J, Perriman A W, Stubbs G and Mann S.
J. Mater. Chem., 18, 4796-4801 (2008). Holmström S C, King P J S, Ryadnov M G, Butler M, Mann S and Woolfson D N.
Li M and Mann S.
Emergent Hybrid Nanostructures based on Non-equilibrium Block Copolymer Self-assembly. Angew. Chemie Int. Ed. 47, 9476-9479 (2008). Yu J, Zhao X, Lui S, Li M, Ng D H L and Mann S.
Poly(methacrylic acid)-mediated Morphosynthesis of PbWO4 Micro-crystals. Applied Physics A Mater. Sci. Process. 87, 113-120 (2007). Walsh D, Arcelli L, Palazzo B, Swinerd V, Fletcher J and Mann S.
Coating of Mesenchymal Stem Cells in 3-D Culture with Bioinorganic Nanoparticles Promotes Osteoblastic Differentiation and Gene Transfection. Adv. Mater. 19, 2236-2240 (2007). Palazzo B, Iafisco M, Laforgia M, Margiotta N, Natile G, Bianchi C L, Walsh D, Mann S and Roveri N.
Biomimetic Hydroxyapatite/drug Nanocrystals as Potential Bone Substitutes with Anti-tumour Drug Delivery and Release Properties. Adv. Functional Mater. 17, 2180-2188 (2007). Yu H, Yu J, Liu S and Mann S.
Chem. Mater 19, 4327-4334 (2007). Bromley K M, Patil A J, Seddon A M, Booth P and Mann S.
Adv. Mater. 19, 2433-2438 (2007). Pound J C, Green D W, Roach H I, Mann S and Oreffo R O C.
An Ex Vivo Model for Chondrogenesis and Osteogenesis. Li M, Viravaida C and Mann S.
Polymer-mediated Synthesis of Ferritin-encapsulated Inorganic Nanoparticles. Patil A J, Li M, Dujardin E and Mann S.
J. Mater. Chem. 17, 3894-3900 (2007). Chem Phys Chem, 8, 2363-2366 (2007). Soft Matter 2, 1377-1380 (2007). Knez M, Nielsch K, Patil A P, Mann S and Gösele U.
Electrochem. Soc. (ECS) Trans.3, 219-225 (2007). One-step Synthesis and Solvent-induced Exfoliation of Hybrid Organic-inorganic Phyllosilicate-like Materials. J. Nanosci. Nanotech. 6, 352-359 (2006). Hall S R, Swinerd V M, Newby F N, Collins A M and Mann S.
Fabrication of Porous Titania (Brookite) Microparticles with Complex Morphology by Sol-gel Replication of Pollen Grains. Chem. Mater. 18, 598-600 (2006). Sun J, Ma D, Zhang H , Wang C, Bao X, Su D, Klein-Hoffmann A, Weinberg G and Mann S.
Phase Evolution in the Alkane/P123/water/TEOS Quadra-component System: a Feasible Route to Different Complex Mesostructured Materials. J. Mater. Chem. 16, 1507- 1510 (2006). Schnepp Z. A. C., Gonzalez-McQuire R and Mann S.
J. Phys. Chem. 110, 1111-1113 (2006). Additive-mediated Crystallization of Calcium Carbonate in Reverse Microemulsions. Green D W, Mann S and Oreffo R O C.
Mineralized Polysaccharide Capsules as Biomimetic Microenvironments for Cell, Gene and Growth Factor Delivery in Tissue Engineering. Soft Matter 2, 603-607 (2006). Theoretical Near-field Optical Properties of Branched Plasmonic Nanoparticle Networks. Phys Rev Letts. 97, 100801-1–100801-4 (2006). Fabrication of Monodisperse Calcium Carbonate Hollow Microspheres by Chemically Induced Self-transformation. Adv Funct. Mater. 16, 2035-2041 (2006). Wakayama H, Hall S R, Fukushima Y and Mann S.
CaCO3/biopolymer Composite Films Prepared Using Supercritical CO2. Ind. Eng. Chem. Res. 45, 3332-3334 (2006). Pound J C, Green D W, Chaudhuri J B, Mann S, Roach H I and Oreffo R O C.
Strategies to Promote Chondrogenesis and Osteogenesis from Mixed Human Mesenchymal Progenitors within Polysaccharide Templates. Tissue Engineering 12, 2789-2799 (2006). One-dimensional Plasmon Coupling by Facile Self-assembly of Gold Nanoparticles into Branched Chain Networks. Adv. Mater. 17, 2553-2559 (2005). Perkin K K, Turner J J, Wooley K L and Mann S.
Fabrication of Hybrid Nanocapsules by Calcium Phosphate Mineralization of Shell Cross-linked Polymer Micelles and Nanocages. Nanoletters 5, 1457-1461 (2005). Green D, Leveque I, Walsh D, Howard D, Mann S and Oreffo R O C.
Mineralized Polysaccharide Capsules for Encapsulation, Organization and Delivery of Human Cells and Growth Factors. Adv. Functional Mater. 15, 917-923 (2005). Fowler C F, Li M, Mann S and Margolis H C.
Influence of Surfactant Assembly on yhe Formation of Calcium Phosphate Materials; a Model for Dental Enamel Formation. J. Mater. Chem. 15, 3317-3325 (2005). Meadows P J, Dujardin E, Hall S R and Mann S.
Template-directed Synthesis of Silica-coated J-aggregate Nanotapes Chem. Commun 3688-3690 (2005). Gonzalez-McQuire R, Green D, Walsh D, Hall S R, Chane-Ching J-Y, Oreffo R O C, Mann S.
Fabrication of Hydroxyapatite Sponges by Dextran Sulfate/Amino acid Templating. Schmidt M, Xeflide S, Botz R and Mann S.
Oxygen Isotope Fractionation During Synthesis of Ca,Mg-Carbonate and Implications for Sedimentary Dolomite Formation. Geochim. Cosmochim. Acta 69, 4665-4674 (2005). J. Mater. Chem. 15, 3838-3843 (2005). Li M, Dujardin E and Mann S.
Walsh D, Boanini E, Tanaka J and Mann S.
Synthesis of Tri-calcium Phosphate Sponges by Interfacial Deposition and Thermal Transformation of Self-supporting Inorganic films. Sadisivan S, Khushalani D and Mann S.
Synthesis of Calcium Phosphate Nanofilaments in Reverse Micelles. Chem. Mater 17, 2765 (2005). Wakayama H, Hall S R and Mann S.
Fabrication of CaCO3/biopolymer Thin Films using Supercritical Carbon Dioxide. J. Mater. Chem. 15, 1134-1136 (2005). Sadasivan S, Dujardin E, Li M, Johnson C J, Mann S.
DNA-driven assembly of mesoporous silica/gold satellite nanoparticles. Small 1, 103-106 (2005). Aoki K and Mann S. Polyelectrolyte-mediated Synthesis and Self-assembly of Silicalite Nanocrystals into Linear Chain Superstructures. J. Mater. Chem 15, 111-113 (2005). Iwasaki M, Davis S A and Mann S.
Sponge-like Macroporous TiO2 Monoliths Prepared from Starch Gel Templates. J. Sol Gel Sci. Tech. 32, 99-105 (2004). Lévêque I, Cusack C, Davis, S D and Mann S.
Promotion of Fluorapatite Crystallization by Soluble Matrix Proteins from Lingula anatina Shells. Kulak K, Hall S R and Mann S.
Single-step Fabrication of Drug-encapsulated Inorganic Microspheres with Complex Form by Sonication-induced Nanoparticle Self-assembly. Spontaneous Template-free Assembly of Ordered Macroporous Titania. DNA-Directed Assembly of Multifunctional Nanoparticle Networks using Metallic and Bioinorganic Building Blocks. J. Mat. Chem., 14, 2260-2263 (2004). Patil A J, Muthusamy E and Mann S.
Synthesis and Self-assembly of Organoclay-wrapped Biomolecules. Angew. Chemie Int. Ed.43, 4928-4933 (2004). Synthesis and Characterization of Amino Acid-functionalized Hydroxyapatite Nanorods. J. Mater. Chem. 14, 2277-2281 (2004). Green D, Walsh D, Yang X, Mann S and Oreffo R O C.
Stimulation of Human Bone Marrow Stromal Cells using Growth Factor-encapsulated Calcium Carbonate Porous Microspheres. J. Mater. Chem. 14, 2206-2212 (2004). Morphological Control of BaSO4 Microstructures by Double Hydrophilic Block Copolymer Mixtures. J. Mater. Chem.14, 2269-2276 (2004). Materials that Naturally Assemble Themselves. Walsh, D, Kulak A. Aoki K, Ikoma T, Tanaka J and Mann S.
Preparation of Higher-order Zeolite Materials using Dextran Templating. Angew. Chem. Int Ed.48, 6691-6695 (2004). Dujardin E and Mann S.
Adv. Mater. 16, 1125-1129 (2004). Ma D, Li M. Patil A J and Mann S.
Fabrication of Protein/silica Core-shell Nanoparticles by Microemulsion-based Molecular wrapping. Adv. Mater. 16, 1838-1841 (2004). Johnson C J, Li M and Mann S.
Seed-assisted Synthesis of BaCrO4 Nanoparticles and Nanostructures in Water-in-oil Microemulsions. Adv. Funct. Mater 14, 1233-1239 (2004). Microemulsion-based Synthesis of Stacked Calcium Carbonate (Calcite) Superstructures. Brennan T, Edler K J, Roser, S J and Mann S.
Characterisation of the Structure of Mesoporous Thin Films Grown at the Air/Water Interface using X-Ray Surface Techniques. Kulak A, Davis S A, Dujardin E and Mann S.
Controlled Assembly of Nanoparticle-containing Gold and Silica Microspheres and Silica/Gold Nanocomposite Spheroids with Complex Form. Chem. Mater 15, 528-535 (2003). Hall S R, Walsh D, Green D, Oreffo R and Mann S.
Highly Porous Silica Gels as Potential Human Bone Analogues. J. Mater. Chem 13, 186-190 (2003). Ikoma T, Kobayashi H, Tanaka J, Walsh D and Mann S.
Microstructure, Mechanical and Biomimetic Properties of Fish Scales from Pagrus Major. J. Struct. Biol. 142, 327-333 (2003). Ikoma T, Azuma N, Kobayashi H, Tanaka J, Walsh D and Mann S.
Physical Properties of Type I Collagen Extracted from Fish Scales of Pagrus major and Oreochromis niloticas. Int. J. Biol. Mol. 32, 199-204 (2003). Edler K J, Brennan T, Roser, S J, Mann S and Richardson R M.
Formation of CTAB-Templated Mesophase Silicate Films from Acidic Solutions. 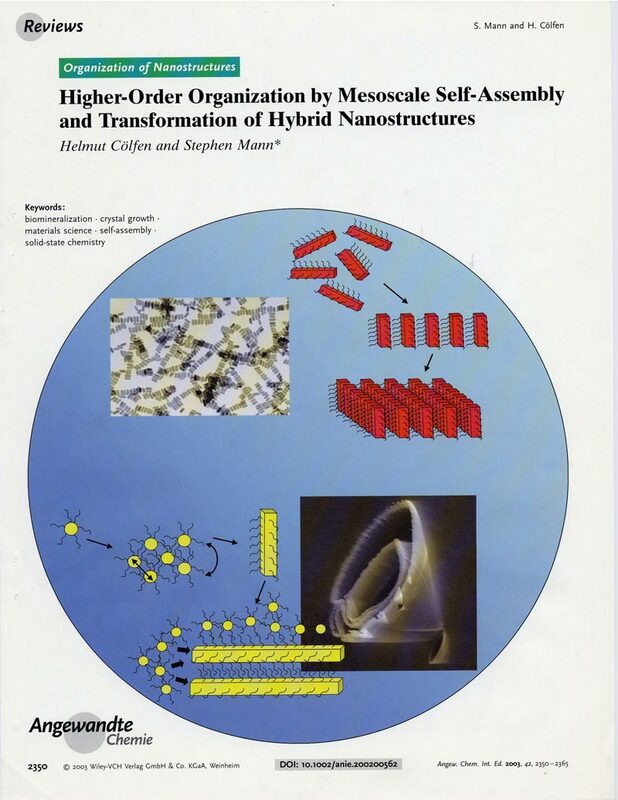 Microporous Mesoporous Materials, 62, 165-175 (2003). Dujardin E, Blaseby M and Mann S.
Synthesis of Mesoporous Silica by Sol-Gel Mineralization of Cellulose Nanorod Nematic Suspensions. 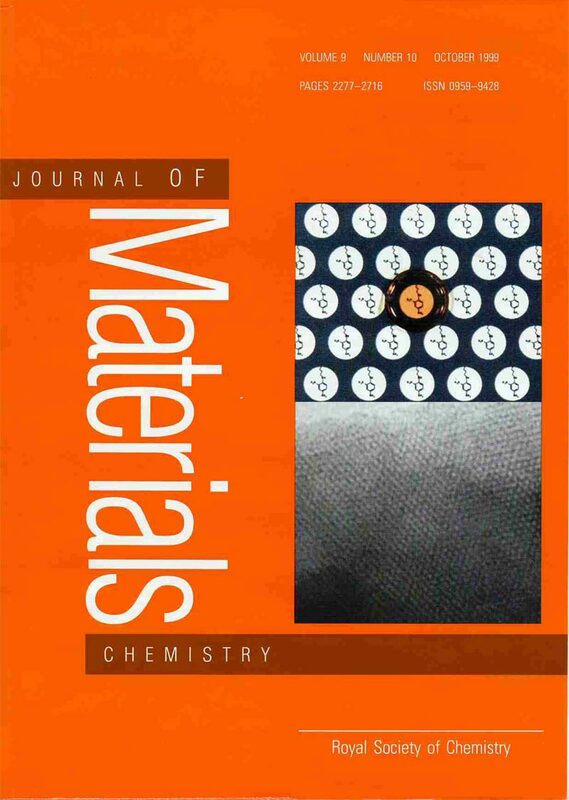 J. Mat Chem. 13, 696-699 (2003). Cölfen H and Mann S.
Higher-order Organization by Mesoscale Self-assembly and Transformation of Hybrid Nanostructures. Angew. Chemie Int. Ed 42, 2350-2365 (2003). Dujardin E, Peet C, Stubbs G, Culver J N and Mann S.
Organization of Metallic Nanoparticles using Tobacco Mosaic Virus Templates. Sadasivan S, Khushalani D and Mann S.
J. Mater. Chem. 13, 1023-1029 (2003). Patil A J, Muthusamy, E, Seddon A and Mann S.
Adv. Mater. 15, 1816-1819 (2003). Collins A M, Spickermann C and Mann S.
J. Mater. Chem. 13, 1112-1114 (2003). Li M, Lebeau B and Mann S.
Synthesis of Aragonite Nanofilament Networks by Mesoscale Self-assembly and Transformation in Reverse Microemulsions. Adv. Mat. 15, 2032-2035 (2003). Hall S R, Bolger H, Mann S.
Morphosynthesis of Complex Inorganic Forms using Pollen Grain Templates. Chem. Commun 2784 -2785 (2003). Hermans S, Sadasivan, S, Judkins, C, Johnson B F G, Mann S and Khushalani D.
Soft Templating of Metallic and Metal Oxide Porous Sponges using Sacrificial Dextran-Based Composites. Nature Materials 2, 386-390 (2003). Current Opinion in Solid State & Materials Science 7, 273-281 (2003). Hall S R, Taylor P D, Davis S A and Mann S.
J. Inorg. Biochem. 88, 410-419 (2002). Zhang B-Z, Davis S A, and Mann S.
Starch Gel Templating of Sponge-like Macroporous Silicalite Monoliths and Mesoporous Films. Chem. Mater. 14, 1369-1375 (2002). Vaucher S, Fielden J, Li M, Dujardin E and Mann S.
Molecule-Based Magnetic Nanoparticles: Synthesis of Cobalt Hexacyanoferrate, Cobalt Pentacyanonitrosylferrate and Chromium Hexacyanochromate Coordination Polymers in Water-in-Oil Microemulsions. Green D, Walsh D, Mann S and Oreffo R.
The Potential of Biomimesis in Bone Tissue Engineering: Lessons from the Design and Synthesis of Invertebrate Skeletons. Sadasivan S, Fowler C E, Khushalani D and Mann S.
Nucleation of MCM-41 Nanoparticles by Internal Reorganization of Disordered and Nematic-like Silica-surfactant Clusters. Angew. Chemie Int. Ed. 41, 2151-2153 (2002). Growth and Form of Gold Nanorods Prepared by Seed-mediated Surfactant-directed Synthesis. J. Mater. Chem. 12, 1765-1770 (2002). Bigi A, Boanini E, Walsh D and Mann S.
Morphosynthesis of Octacalcium Phosphate Hollow Microspheres by Polyelectrolyte-mediated Crystallization. Angew. Chemie Int. Ed. 41, 2163-2166 (2002). Seddon A M, Patel H M, Burkett S L and Mann S.
Chiral Templating of Silica-lipid Lamellar Mesophase with Helical Tubular Architecture. Angew. Chemie Int. Ed. 41, 2988-2991 (2002). Muthusamy E, Walsh D and Mann S.
Morphosynthesis of Organoclay Microspheres with Sponge-Like or Hollow Interiors. Adv. Mater. 14, 969-972 (2002). Structural Evolution of Surfactant Silica Film-forming Solutions Investigated using Small Angle Neutron Scattering. Chem. Mater. 14, 4292-4299 (2002). Li M and Mann S. Emergent Nanostructures: Water-Induced Mesoscale Transformation of Surfactant-Stabilized Amorphous Calcium Carbonate Nanoparticles in Reverse Microemulsions. Adv. Functional Mater. 12, 773-779 (2002). Adv. Mater 14, 775-788 (2002) also Adv. Engineer. Mater. 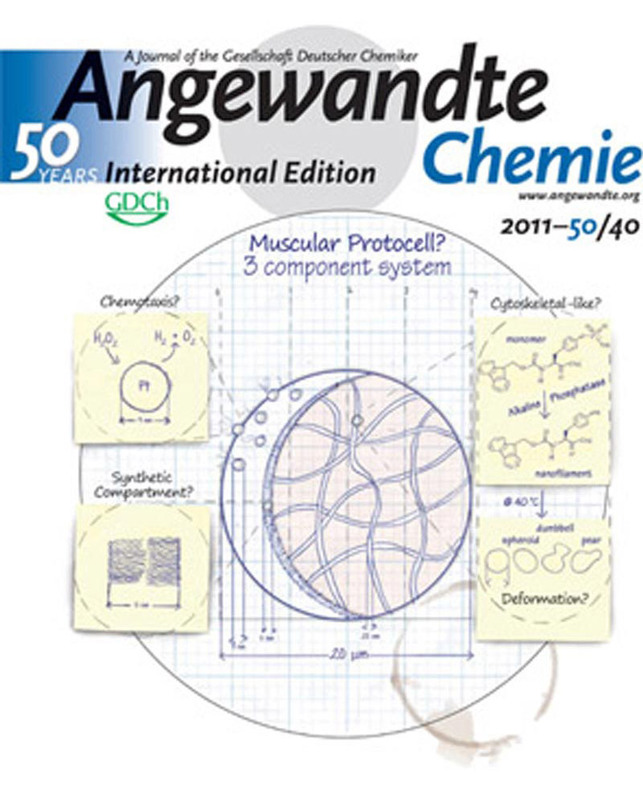 Lévêque I, Rhodes K H and Mann S.
Biomineral-Inspired Fabrication of Semi-Permeable Calcium Phosphate-Polysaccharide Microcapsules. J. Mater. Chem. 12, 2178-2180 (2002). Jana N R, Gearheart L A, Obare S O, Johnson C J,Edler K E, Mann S and Murphy C J. Liquid Crystalline Assemblies of Ordered Gold Nanorods. J. Mat. Chem 12, 2909-2912 (2002). Mel’nyk I V, Zub Y L, Chuiko A A, Jaroniec M and Mann S.
Polyfunctionalized Silica Adsorbents obtained by using Dodecylamine as Template. Stud. Surf. Sci. Catal. , 141, 205-212 (2002). Brennan T, Hughes A V, Roser, S J, Mann S and Edler K J.
Concentration-dependent Formation Mechanisms in mesophase Silica-surfactant Films. Langmuir 18, 9838-9844 (2002). Edler K J, Goldar A, Hughes A V, Roser S J and Mann S.
Structural Studies on Surfactant-templated Silica Films Grown at the Air-water Interface. Microporous Mesoporous Mater. 44-45, 661-670 (2001). Hall S R, Shenton W, Engelhardt H and Mann S.
Site-Specific Organization of Gold Nanoparticles by Biomolecular Templating. Schmidt M, Botz R, Hall S R, Mann S.
Oxygen Isotopes of MarineDiatoms and Relations to Opal-A Maturation. Geochim. Cosmochim. Acta 65, 201-211 (2001). Shenton W, Mann S, Coelfen H, Bacher A, Fischer M.
Synthesis of Nanophase Iron Oxide in Lumazine Synthase Capsids. Angew. Chemie Int. Ed 40, 442-445 (2001). Fowler C E, Khushalani D, Lebeau B, Mann S.
Nanoscale Materials with Mesostructured Interiors. Adv. Mater. 13, 649-652 (2001). Khushalani D, Hasenzahl S, Mann S.
Synthesis of Mesoporous Silica Monoliths with Embedded Nanoparticles. J. Nanoscience and Nanotechnology 1, 129-132 (2001). 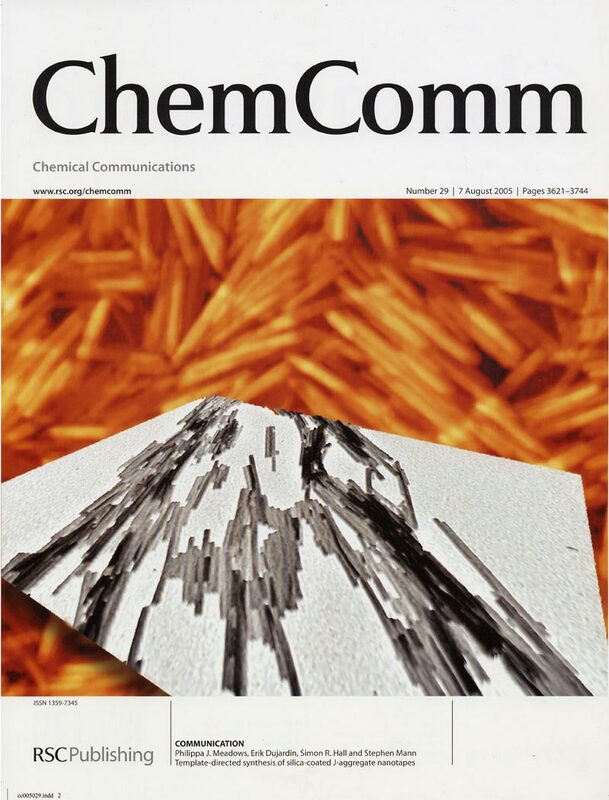 Vaucher S, Charmant J P H, Sorace L, Gatteschi D, Mann S.
Interfacial Oxidation of Decamethylferrocene by Hexacyanoferrate: Formation of a Unique Iron (III) Network [Fe(η-C5 Me5 )2 ]3 [Fe(CN)6].2CH2Cl2.6H2 O.
Fowler C. E, Shenton W, Stubbs G and Mann S.
Tobacco Mosaic Virus Liquid Crystals as Templates for the Interior Design of Silica Mesophases and Nanoparticles. Adv. Mater 13, 1266-1269 (2001). Davis S A, Breulmann M, Rhodes K H, Zhang B and Mann, S.
Nanotectonics: Template-Directed Assembly of Organized Materials Using Nanoparticle Building Blocks. Chem. Mater. 13, 3218-3226 (2001). Dujardin E, Hsin L-B, Wang C R C, and Mann S.
Fowler C E, Khushalani D and Mann S.
Facile Synthesis of Hollow Silica Microspheres. J. Mater. Chem. 11, 1968-1971 (2001). Interfacial Synthesis of Hollow Microspheres of Mesostructured Silica. Qi L, Cölfen H, Antonietti M, Li M, Hopwood J D, Ashley A J and Mann S.
Formation of BaSO4 Fibres with Morphological Complexity in Aqueous Polymer Solutions. Chem. Eur. J. 7, 3526-3532 (2001). Vaucher S, Dujardin E, Lebeau B, Hall S. R. and Mann S.
Inverse Opal of an Optically Tuneable Molecule-Based Magnet. Chem. Mater, 13, 4408-4410 (2001). Zub Y L, Seredyuk I V, Chuiko A A, Jaroniec M, Jones M O, Parish R V, and Mann S.
Polyfunctionalized Surfactant-Templated Adsorbents With High Specific Surface Area. Mendeleev. Commun. 11, 208-210 (2001). Hall S R, Davis S A and Mann S.
Co-condensation of Organosilica Hybrid Shells on Nanoparticle Templates: a Direct Synthetic Route to Functionalized Core-shell Colloids. Breulmann M, Davis S A, Mann S, Hentze H P and Antonietti M.
Polymer Gel Templating of Porous Inorganic Macrostructures using Nanoparticle Building Blocks. Adv. Mater. 12, 502-507 (2000). Mann S, Shenton W, Li M, Connolly S and Fitzmaurice D.
Adv. Mater. 12, 147-150 (2000). Colston S L, O’Connor D O, Barnes P, Mayers E L, Mann S, Feimuth H and Ehrfeld W.
Functional Micro-concrete: Incorporation of Zeolites and Inorganic Nanoparticles into Cement Microstructures. J. Mat. Sci. Lett. 19, 1085-1088 (2000). Edler K J, Roser S J and Mann S.
In situ Brewster Angle Microscopy and Surface Pressure Studies on the Interfacial Growth of Mesostructured Silica Thin Films. Emergence of Morphological Complexity in BaSO4 Fibres Synthesized in AOT Microemulsions. Vaucher S, Li M and Mann S.
Synthesis of Prussian Blue Nanoparticles and Nanocrystal Superlattices in Reverse Microemulsions. Angew. Chemie Int. Ed. 39, 1793-1796 (2000). Ogasawara W, Shenton W, Davis S A and Mann S.
Template Mineralization of Ordered Macroporous Chitin-silica Composites using Cuttlebone-derived Organic Matrix. Chem. Mater 12, 2835-2837 (2000). Angew. Chemie Int. Ed. 39, 3392-3406 (2000). Zhang B, Davis S A, Mendelson N H and Mann S.
Bacterial Templating of Zeolite Fibres with Hierarchical Structure. Lebeau B, Fowler C F, Mann S, Farcet C, Charleux B and Sanchez C.
Synthesis of Hierarchically Ordered Dye-Functionalised Mesoporous Silica with Macroporous Architecture by Dual Templating. J. Mater. Chem. 10, 2105-2108 (2000). Mann S, Davis S A, Hall S R, Li M, Rhodes K H, Shenton W, Vaucher S and Zhang B. 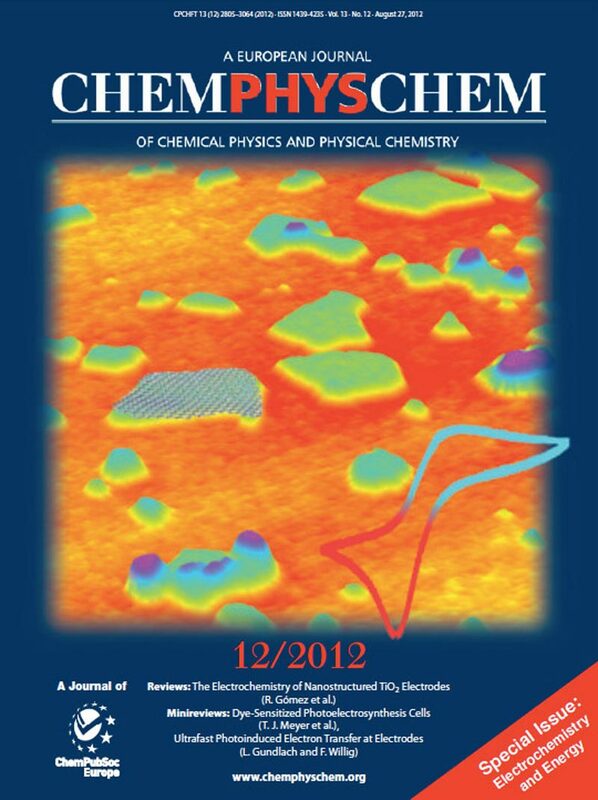 Crystal Tectonics: Chemical Construction and Self-organization Beyond the Unit Cell. Rhodes K H, Davis S A, Caruso F, Zhang B and Mann S.
Hierarchical Assembly of Zeolite Nanoparticles into Ordered Macroporous Monoliths using Core-shell Building Blocks. Gilles C, Bonville P, Wong K W W and Mann S.
Non-langevin Behaviour of the Uncompensated Magnetization in Nanoparticles of Artificial Ferritin. EPJB 17, 417-422 (2000). Organization of inorganic nanoparticles using Biotin-streptavidin Connectors. Chem. Mater. 11, 23-26 (1999). Shenton W, Douglas T, Young M, Stubbs G and Mann S.
Inorganic-Organic Nanotube Composites From Template Mineralization of Tobacco Mosaic Virus. Adv. Mater. 11, 253-256 (1999). Hall S R, Fowler C E, Lebeau B and Mann S.
Template-directed Synthesis of Bi-functionalized Organo-MCM-41 and Phenyl-MCM-48 Silica Mesophases. Walsh D, Lebeau B and Mann S.
Adv. Mater. 11, 324-328 (1999). Shenton W, Davis S A and Mann S.
Directed Self-assembly of Nanoparticles into Macroscopic Materials using Antibody-antigen Recognition. Adv. Mater. 11, 449-452 (1999). Young J R, Davis S A, Bown P R and Mann S.
J. Struct. Biol. 12, 195-215 (1999). Wong K K W, Coelfen H, Whilton N T, Douglas T and Mann S.
Synthesis and Characterization of Hydrophobic Ferritin Proteins. J. Inorg. Biochem. 76, 187-195 (1999). Li M, Schnablegger H and Mann S.
Coupled Synthesis and Self-assembly of Nanoparticles to give Structures with Controlled Organization. Lebeau B, Fowler C E, Hall S R and Mann S.
Transparent Thin Films and Monoliths prepared from Dye-functionalized Ordered Silica Mesostructures. J. Mater. Chem. 9, 2279-2281 (1999). Miyaji F, Davis S A, Charmant J P H and Mann S.
Organic-crystal Templating of Hollow Silica Fibres. Sims, S D, Walsh D and Mann S.
Morphosynthesis of Macroporous Silica Frameworks in Bicontinuous Microemulsions. Adv. Mater. 10, 151-154 (1998). Bambrough C M, Slade R C T, Williams R T, Sims S D and Mann S.
Sorption of Nitrogen, Water Vapour and Benzene by a Phenyl-Modified MCM-41 Sorbent. J. Colloid Interface Sci. 210, 220-222 (1998). Wong K K W, Douglas T, Gider S, Awschalom D D and Mann S.
Biomimetic Synthesis and Characterization of Magnetic Proteins (Magnetoferritin). Chem. Mater. 10, 279-285 (1998). Breulmann M, Cölfen H, Hentze H-P, Antonietti M, Walsh D and Mann S.
Elastic Magnets: Template-controlled Mineralization of Iron Oxide Colloids in a Sponge-like Gel Matrix. Adv. Mater. 10, 237-240 (1998). 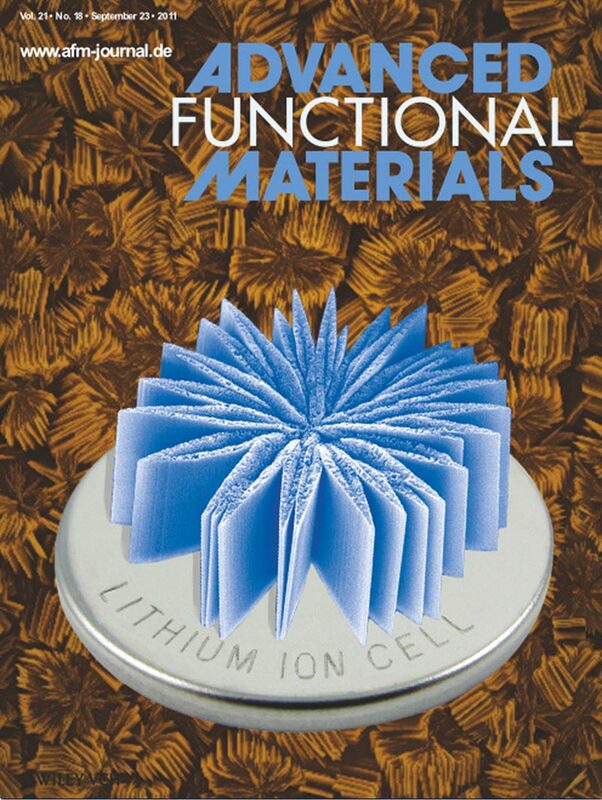 Wong K K W and Mann S. Small Scale Structures in Biomineralization and Biomimetic Materials Chemistry. Curr. Opin. Colloid Interface Sci. 3, 63-68 (1998). Smith C J, Field M, Coakley C J, Awschalom DD, Mendelson N H, Mayers E L, Davis S A and Mann S.
Organizing Nanometer-scale Magnets with Bacterial Threads. IEEE Trans. Magn. 34, 988-990 (1998). 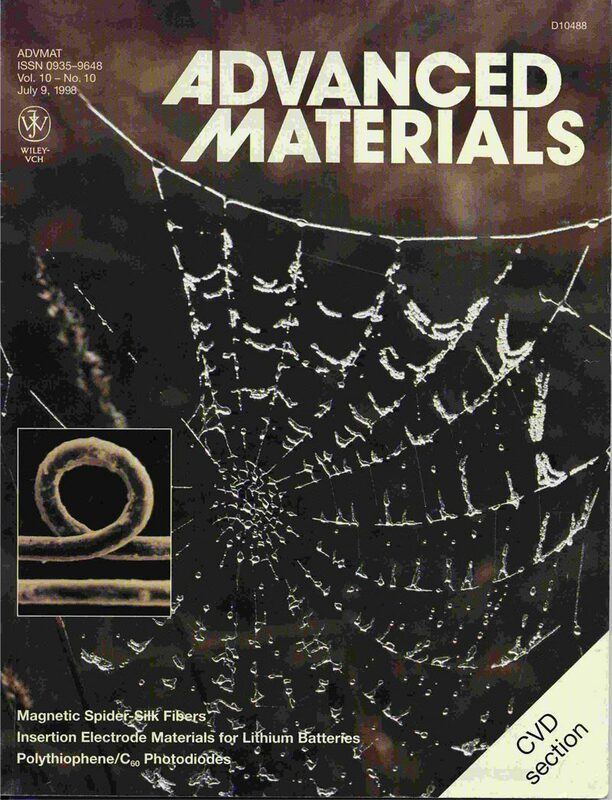 Mayes E L. Vollrath F and Mann S.
Fabrication of Magnetic Spider Silk and other Silk-fiber Composites using Inorganic Nanocolloids. Adv. Mater. 10, 801-805 (1998). Antonietti M, Breulmann M, Goltner C G, Colfen H, Wong K K W, Walsh D and Mann S.
Inorganic-organic Mesostructures with Complex Morphologies: Precipitation of Calcium Phosphate in the Presence of Double-hydrophilic Block Copolymers. Chem. Eur. J. 4, 2491-2498 (1998). Roser S J, Patel H M, Lovell M R, Muir J E and Mann S.
X-ray Reflection Studies on the Monolayer-mediated Growth of Mesostructured MCM-41 Silica at the Air/water Interface. Chem. Commun. 829-830 (1998). Whilton N T, Burkett S L and Mann S.
Synthesis and Characterization of Allyl, Epoxy, Ethylenediamino and Imidazole-functionalized Magnesium Phyllosilicate Organoclays. J. Mater. Chem. 8, 1927-1932 (1998). Wong K K W, Whilton N T, Coelfen H, Douglas T and Mann S.
Hydrophobic Proteins: Synthesis and Characterization of Organic-soluble Alkylated Ferritins. Chem. Commun. 1621-1622 (1998). 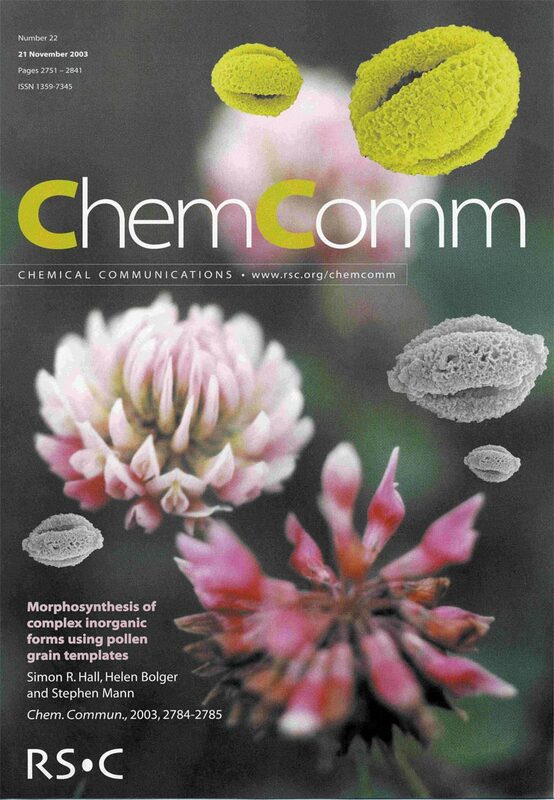 Fowler C E, Lebeau B and Mann S.
Covalent Coupling of an Organic Chromophore into Functionalized MCM-41 Mesophases by Template-directed Co-condensation. Chem. Commun.1825-1826 (1998). Davis S A, Patel H M. Mayes E L, Mendelson N H, Franco G and Mann S.
Brittle Bacteria: A Biomimetic Approach To The Formation Of Fibrous Composite Materials. Chem. Mater .10, 2516-2524 (1998). Field M, Smith, C J, Awschalom, D D, Mendelson N H, Mayes E L, Davis S A, and Mann S.
Organizing Nanometer-Scale Magnets using Bacterial Thread Templates. Appl. Phys. Lett. 73 1739-1741 (1998). Zaremba C M. Morse D E, Mann S, Hansma P K and Stucky G D.
The Aragonite-Hydroxyapatite Conversion in Gastropod (Abalone) Nacre. Chem. Mater. 10, 3813-3824 (1998). Archibald D D, Gaber B P, Hopwood J D, Mann S and Boland T.
Atomic Force Microscopy of Synthetic Barite Microcrystals. J. Crystal Growth 172, 231-248 (1997). Litvin A L, Valiyaveettil S, Tingle J, Kaplan D L and Mann S.
Template-directed Synthesis of Aragonite under Supramolecular Hydrogen-bonded Langmuir Monolayers. Adv. Mater. 9, 124-127 (1997). Davis S A, Burkett S L, Mendelson N H and Mann S.
Bacterial Templating of Ordered Macrostructures in Silica and Silica-surfactant Mesophases. Burkett S L, Press A and Mann S.
Layered Inorganic-organic Nanocomposites Based on 2:1 Trioctahedral Phyllosilicates. Chem. Mater. 9, 1071-1073 (1997). Walsh D and Mann S.
Synthesis of Cellular Inorganic Films from Self-organized Media. Adv. Mater. 9, 658-662 (1997). Whilton N T, Vickers P J and Mann S.
Bioinorganic Clays: Synthesis and Characterization of Amino- and Polyamino Acid Intercalated Layered Double Hydroxides. J. Mater. Chem. 7, 1623-1629 (1997). Hopwood J D and Mann S.
Synthesis of Barium Sulfate Nanoparticles and Nanofilaments in Reverse Micelles and Microemulsions. Chem. Mater. 9, 1819-1828 (1997). Fowler C E, Burkett S L and Mann S.
Synthesis and Characterization of Ordered Organo-silica-surfactant Mesophases with Functionalized MCM-41-type Architecture. 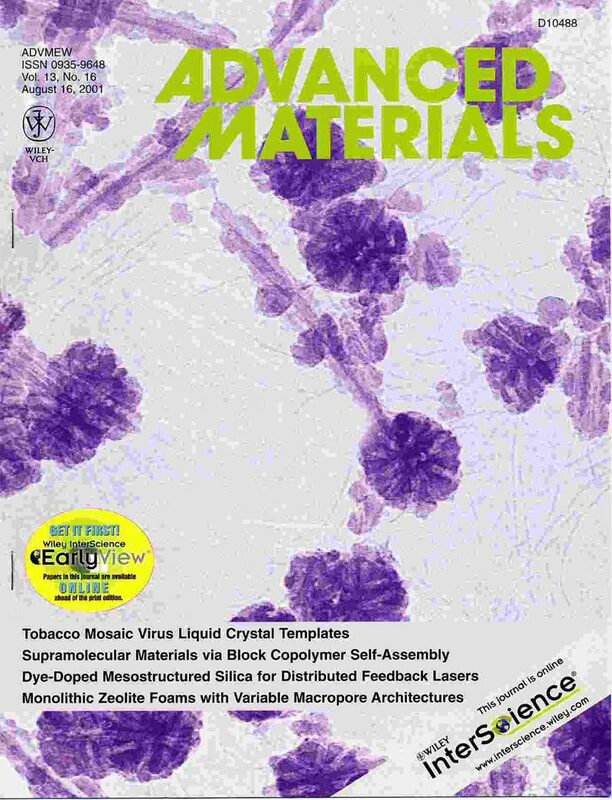 Shenton W, Pum D, Sleytr U B and Mann S.
Biocrystal Templating of CdS Superlattices using Self-assembled Bacterial S-Layers. Moskowitz B M, Frankel R B, Walton S A, Dickson D P E, Wong K K W, Douglas T and Mann S.
Magnetic Properties of Superparamagnetic Maghemite Particles in Magnetoferritin. J. Geophys. Res. 102, 22671-22680 (1997). Hopwood J L, Mann S, and Gooday A J. The Crystallography and Possible Origin of Barium Sulphate in Deep-sea Rhizopod Protists (Class Xenophyophorea). J. Mar. Biol. Assoc. (UK) 77, 969-987 (1997). Mann S, Burkett S L, Davis S A, Fowler C E, Mendelson N H, Sims S D, Walsh D and Whilton N T.
Sol-gel Synthesis of Organized Matter. Chem. Mater. 9, 2300-2310 (1997). Biomineralization: the Form(id)able Part of Bioinorganic Chemistry! J. Chem. Soc. Dalton Trans. 3953-3961 (1997). Zborowski M, Bor Fur C, Green R, Baldwin N J, Reddy S, Douglas T, Mann S and Chalmers J J.
Immunomagnetic Isolation of Magnetoferritin-labeled Cells in a Modified Ferrograph. 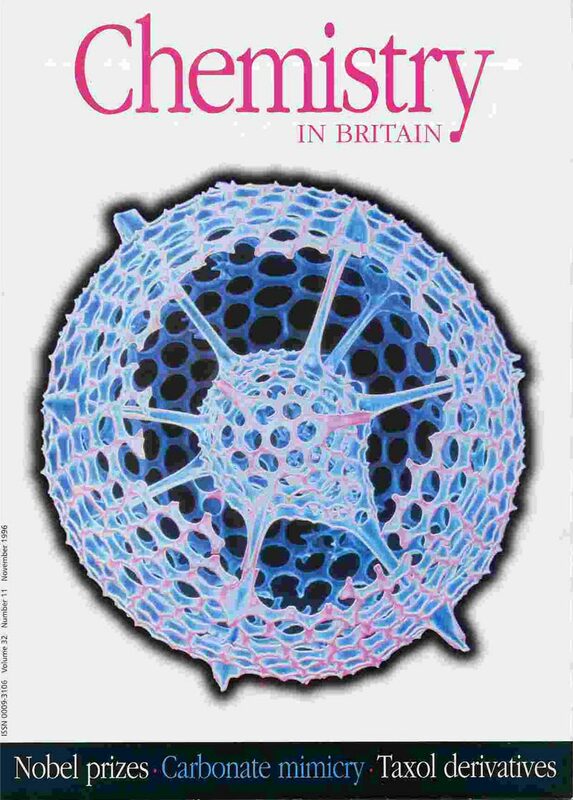 Cytometry 24 , 251-259 (1996). Burkett S L and Mann S.
Spatial Organization and Patterning of Gold Nanoparticles on Self-assembled Biolipid Tubular Templates. Patel H M, Didymus J M, Wong K K W, Hirsch A, Skiebe A, Lamparth I, and Mann S.
Fullerates: Interaction of Divalent Metal Ions with Langmuir Monolayers and Multilayers of Mono-substituted C60-malonic Acid. Zaremba C M, Belcher A M, Fritz M, Li Y, Mann S, Hansma P K, Morse D E, Speck J S and Stucky G D.
Critical Transitions in the Biofabrication of Abalone Shells and Flat Pearls. Chem. Mater. 8 , 679-690 (1996). Mann S and Ozin, G A. Nature 382 , 313-318 (1996). Chemical Synthesis of Micro-skeletal Calcium Phosphate in Bicontinuous Microemulsions. Chem. Mater. 8 , 1944-1953 (1996). Burkett S L, Sims S D and Mann S.
Synthesis of hybrid inorganicorganic mesoporous silica by cocondensation of siloxane and organosiloxane precursors. Chem. Commun . 1367-1368 (1996). Wong K K W and Mann S.
Biomimetic Synthesis of Cadmium Sulfide-Ferritin Nanocomposites. Adv. Mater. 8 , 928-931 (1996). Gider S, Awschalom D D, Douglas T, Wong K, Mann S, Cain G.
Classical and Quantum Magnetism in Synthetic Ferritin Proteins. J. Appl. Phys . 79, 5324-5328 (1996). Chem. Brit. 32 , 31-34 (1996). Meldrum F C, Douglas T, Levi S, Arosio P and Mann S.
Reconstitution of Manganese Oxide Cores in Horse Spleen and Recombinant Ferritins. J. Inorg. Biochem. 58 , 59-68 (1995). 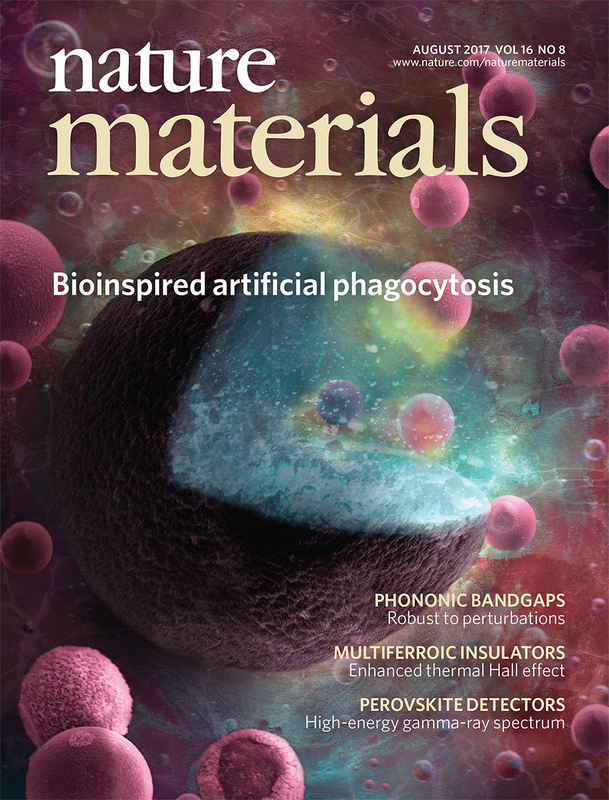 Biominerals and Biomimetics: Smart Solutions to Living in the Material World. Chem. Ind. 3 , 93-96 (1995). Gider S, Awschalom D D, Douglas T, Mann S and Chaparala M.
Classical and Quantum Magnetic Phenomena in Natural and Artificial Ferritin Proteins. Biomineralization and Biomimetic Materials Chemistry. J. Mater. Chem. 5 , 935-946 (1995). Sims S D, Didymus J M and Mann S.
Habit Modification in Synthetic Crystals of Aragonite and Vaterite. J. Chem. Soc. Chem. Commun. 1031-1032 (1995). Gooday A J, Nott J A, Davies S A and Mann S.
Apatite Particles in the Test Wall of the Large Agglutinated Foraminifer Bathysiphon Major (Protista). J. Mar. Biol. Assoc. 75 , 469-481 (1995). Bazylinski D A, Frankel R B, Heywood B R, Mann S, King J W, Donaghay P L and Hanson A K.
Controlled Biomineralization of Magnetite (Fe3O4) and Greigite (Fe3S4) in a Magnetotactic Bacterium. Appl. Environ. Microbiol. 61 , 3232-3239 (1995). Bulte, J W M, Douglas, T, Mann S, Vymazal J, Laughlin B S and Frank J A. Initial Assessment of Magnetoferritin: Biokinetics and Proton Relaxation Enhancement in Rats. Acad. Radiology 2 , 871-878 (1995). Meldrum F C, Heywood B R, Dickson D P E and Mann S.
Iron Biomineralization in the Poriferan Ircinia oros. J. Mar. Biol. Assoc. UK. 75 , 993-996 (1995). Didymus J M, Mann S, Benton W J, and Collins I R.
Interactions of Poly ,-aspartate with Octadecylamine Monolayers: Adsorption Behaviour and Effects on CaCO3 Crystallization. Langmuir 11 , 3130-3136 (1995). Douglas T, Dickson D P E, Betteridge S, Charnock J, Garner C D, and Mann S.
Synthesis and Structure of an Iron (III) Sulfide-Ferritin Bioinorganic Nanocomposite. Science 269 , 54-57 (1995). Giles R, Manne S, Mann S, Morse D E, Stucky G D and Hansma P K.
Inorganic Overgrowth of Aragonite on Molluscan Nacre Examined by Atomic Force Microscopy. Biol. Bull. 188 , 8-15 (1995). Davis S A, Young J R and Mann S.
Electron Microscopy Studies of Shield Elements of Emiliania huxleyi Coccoliths. Botanica Marina 38 , 493-497 (1995). Fabrication of Hollow Porous Shells of Calcium Carbonate from Self-organizing Media. Nature 377 , 320-323 (1995). Heywood B R and Mann S.
Template-directed Nucleation and Growth of Inorganic Materials. Adv. Materials . 6, 9-20 (1994). Archibald D D and Mann S.
Self-assembled Microstructures from 1,2-ethanediol Suspensions of Pure and Binary Mixtures of Neutral and Acidic Biological Galactosylceramides. Chem. Phys. Lipids 69 , 51-64 (1994). Manne S, Zaremba C M, Giles R, Huggins L, Walters D A, Belcher A, Morse D E, Stucky G D, Didymus J M, Mann S and Hansma P K.
Atomic Force Microscopy of the Nacreous Layer in Mollusc Shells. Proc. R. Soc. Lond. B 256 , 17-23 (1994). Douglas T and Mann S.
Oriented Nucleation of Gypsum (CaSO4.2H2O) under Compressed Langmuir Monolayers. 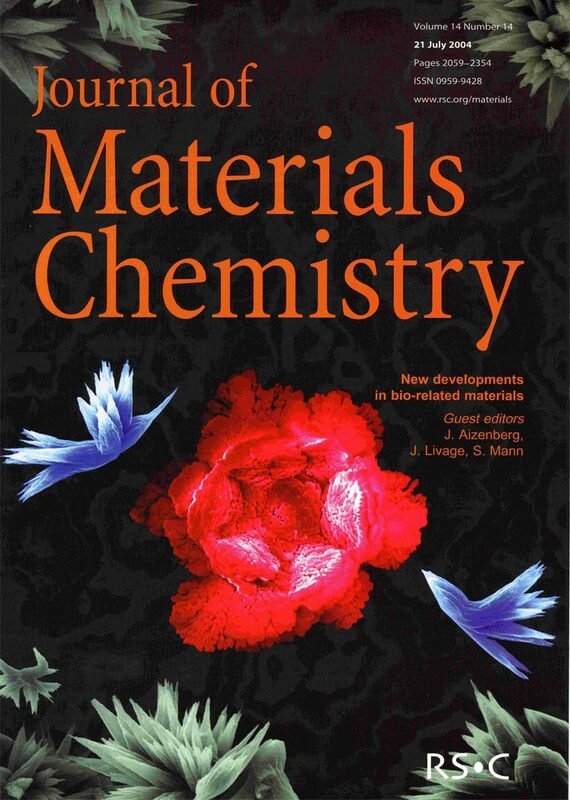 Materials Science and Engineering, C 1 , 193-199 (1994). Molecular Construction of Oriented Inorganic Materials: Controlled Nucleation of Calcite and Aragonite under Compressed Langmuir Monolayers. Chem. Mater. 6 , 311-318 (1994). Bulte J W M, Douglas T, Mann S, Frankel R B, Moskovitz B M, Brooks R A, Baumgarner C D, Vymazel J, Strub M-P and Frank J A.
Magnetoferritin: Characterization of a Novel Superparamagnetic Magnetic Resonance Contrast Agent. J. Magn. Reson. Imaging 4 , 497-505 (1994). Magnetoferritin: Biomineralization as a Novel Molecular Approach in the Design of Iron-oxide Based Magnetic Resonance Contrast Agents. Inv. Radiology. 29 , S214-216, (1994). Wong K W, Brisdon B J, Heywood B R, Hodson A G W and Mann S.
Polymer-mediated Crystallization of Inorganic Solids: Calcite Nucleation on the Surfaces of Inorganic Polymers. J. Mater. Chem. 4 , 1387-1392 (1994). Walsh D W, Hopwood J D and Mann S.
Crystal Tectonics: Construction of Reticulated Calcium Phosphate Frameworks in Bicontinuous Reverse Microemulsions. Science 264 , 1576-1578 (1994). 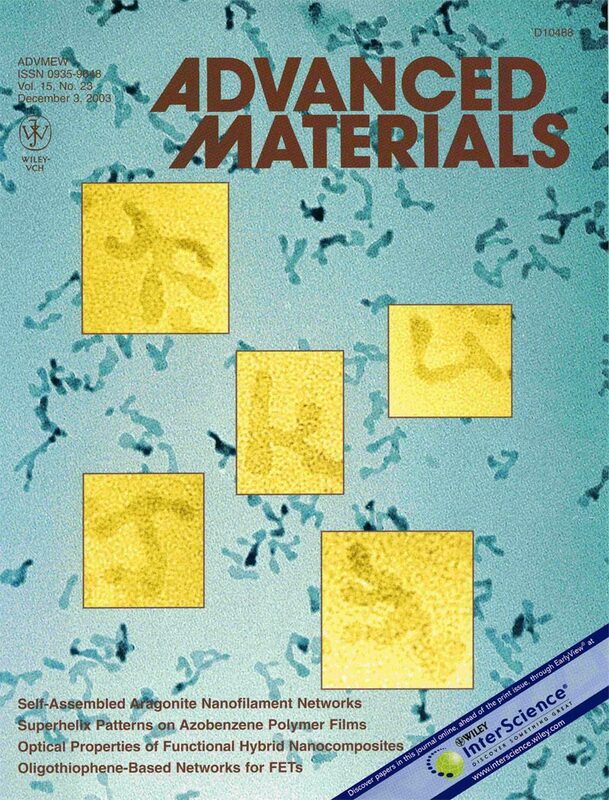 Fritz M, Belcher A M, Radmacher M, Walters D A, Hansma P K, Stucky G D, Morse D E and Mann S.
Flat Pearls: Biofabrication of Organized Composites on Abiotic Substrates. Nature 371 , 49-51 (1994). Pankhurst Q A, Betteridge S, Dickson D P E, Douglas T, Mann S and Frankel R B.
Mossbauer Spectroscopic and Magnetic Studies of Magnetoferritin. Hyperfine Interactions 91 , 847-851 (1994). Didymus J M, Young J R, and Mann S.
Construction and Morphogenesis of the Chiral Ultrastructure of Coccoliths from the Marine Alga Emiliania huxleyi. Proc. R. Soc. Lond. B. 258 , 237-245 (1994). Ward R J, Ramsey M, Dickson D P E, Hunt C, Douglas T, Mann S, Aouad F, Peters T J, Crichton R R.
Further Characterization of Forms of Haemosiderin in Iron-overload Tissues. Eur. J. Biochem. 225 , 187-194 (1994). Biomineralization: the Hard Part of Bioinorganic Chemistry! J. Chem. Soc. Dalton Trans . 1-9 (1993). Wade V J, Treffry A, Laulhere J-P, Bauminger E R, Cleton M I, Mann S, Briat J-F and Harrison P M.
Structure and Composition of Ferritin Cores from Pea Seed (Pisum Sativum). Biochim. Biophys. Acta 1161 , 91-96 (1993). Structural Studies of Lipid Fibres formed by Sphingosine. Biochim. Biophys. Acta 1166 , 154-162 (1993). Brisdon B J, Heywood B R, Hodson A G W, Mann S and Wong K K W.
Polymer-mediated Crystallization of Inorganic Solids: Calcite Nucleation on Poly(organosiloxane) Surfaces. Adv. Materials 5 , 49-51 (1993). Meldrum F C, Mann S, Heywood B R, Frankel R B and Bazylinski D A.
Electron Microscopy Study of Magnetosomes in a Cultured Coccoid Magnetotactic Bacterium. Proc. R. Soc. Lond. B 251 , 231-236 (1993). Electron Microscopy Study of Magnetosomes in a Two Cultured Vibrioid Magnetotactic Bacterium. Proc. R. Soc. Lond. B 251 , 237-242 (1993). Taylor M G, Simkiss K, Greaves G N, Okazaki M and Mann S.
An X-ray Absorption Spectroscopy Study of the Structure and Transformation of Amorphous Calcium Carbonate from Plant Cystoliths. Proc. R. Soc. Lond. B 252 , 75-80(1993). Meldrum F C, Heywood B R and Mann S.
Influence of Membrane Composition on the Intravesicular Precipitation of Nanophase Gold Particles. J. Colloid. Interface Sci. 161 , 66-71 (1993). Didymus J M, Oliver P, Mann S, DeVries A L, Hauschka P V and Westbroek P.
Biomimetic Approaches to Crystal Engineering: Influence of Low Molecular Weight and Macromolecular Organic Additives on the Morphology of Calcium Carbonate. J. Chem. Soc. Faraday Trans . 89, 2891-2900 (1993). Titiloye J O, Parker S C and Mann S.
Atomistic Simulation of Calcite Surfaces and the Influence of Growth Additives on their Morphology. J. Crystal Growth 131 , 533-545 (1993). Template Mineralization of Self-assembled Anisotropic Microstructures. Nature 364 , 430-433 (1993). 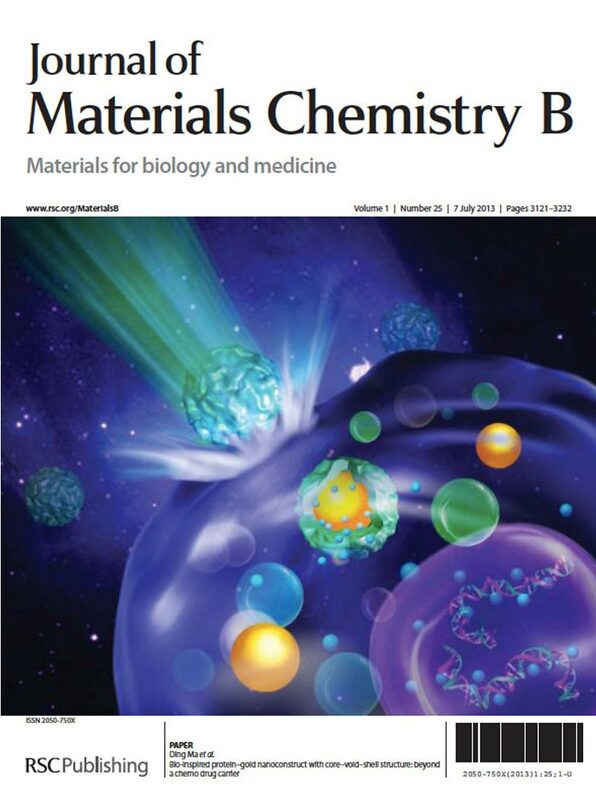 Mann S, Archibald, D D, Didymus J M, Douglas T, Heywood B R, Meldrum F C and Reeves N J.
Crystallization at Inorganic-organic Interfaces: Biominerals and Biomimetic Synthesis. Science 261 , 1286-1292 (1993). 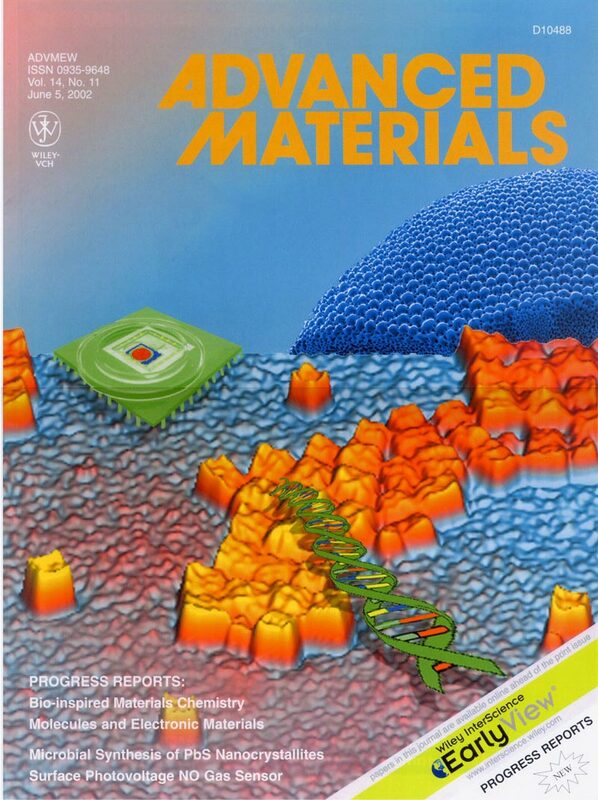 Molecular Tectonics in Biomineralization and Biomimetic Materials Chemistry. Mackle P, Charnock J M, Garner C D, Meldrum F C and Mann S.
Characterization of the Manganese Core of Reconstituted Ferritin by X-ray Absorption Spectroscopy. J .Amer. Chem. Soc . 115, 8471-8472 (1993). Walsh D, Kingston J L, Heywood B R and Mann S.
Influence of Monosaccharides and Related Molecules on the Morphology of Hydroxyapatite. J. Crystal Growth 133 , 1-12 (1993). Bazylinski D A, Heywood B R, Mann S and Frankel R B.
Magnetite (Fe3O4) and Greigite (Fe3S4) in a Bacterium. 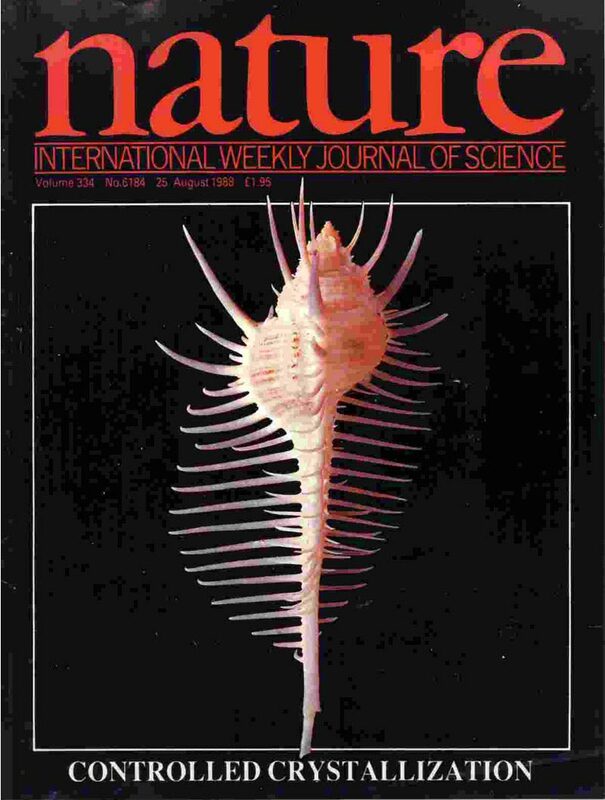 Nature 366 , 218 (1993). Hudson A J, Andrews S C, Hawkins C, Williams J M, Izuhara M, Meldrum F C, Douglas T, Mann S, Harrison, P M and Guest J R.
Overproduction, Purification and Characterization of the Escherichia coli Ferritin. Eur. J. Biochem. 218 , 985-995 (1993). Mann S, Archibald D D, Didymus J M, Heywood B R, Meldrum F C and Wade V J.
Biomineralization: Biomimetic Potential at the Inorganic-organic Interface. Mat. Res. Sci. Bull. XVII , 32-36 (1992). Crystal Recognition at Inorganic-organic Interfaces: Nucleation and Growth of Oriented BaSO4under Compressed Langmuir Monolayers. Adv. Materials 4 , 278-282 (1992). Young J R, Didymus J M, Bown P R, Prins B and Mann S.
Crystal Assembly and Phylogenetic Evolution in Heterococcoliths. Nature 356 , 516-518 (1992). Organic Template-directed Inorganic Crystallization: Oriented Nucleation of BaSO4under Compressed Langmuir Monolayers. J. Amer. Chem. Soc . 114, 4681-4686 (1992). Template-directed Inorganic Crystallization: Oriented Nucleation of BaSO4under Langmuir Monolayers of an Aliphatic Long Chain Phosphonate. Langmuir 8 , 1492-1498 (1992). Meldrum F C, Heywood B R, and Mann S.
Magnetoferritin: in vitro Synthesis of a Novel Magnetic Protein. Science 257 , 522-523 (1992). Ward R J, Ramsey M H, Dickson D P E, Florence A, Crichton R R, Peters T J and Mann S.
Chemical and Structural Characterization of Iron Cores of Haemosiderins Isolated from Different Sources. Eur. J. Biochem. 209 , 847-850 (1992). Mann S, Heywood B R, Rajam S, and Walker J B A. Structural and Stereochemical Relationships betwen Langmuir Monolayers and Calcium Carbonate Nucleation. J. Physics D: Appl. Phys . 24, 154-164 (1991). Rajam S, Heywood B R, Walker J B A, Davey R J, Birchall J D and Mann S.
Oriented Crystallization of CaCO3 under Compressed Langmuir Monolayers. Part I. Morphological Studies of Mature Crystals. J. Chem. Soc. Farad. Trans.1 87 , 727-734 (1991). Heywood B R, Rajam S, and Mann S.
Oriented Crystallization of CaCO3 under Compressed Langmuir Monolayers. Part II. Morphology, Structure and Growth of Immature Crystals. J. Chem. Soc. Faraday Trans.1 87 , 735-743 (1991). St Pierre T G, Tran K C, Webb J, Macey D J, Heywood B R, Sparks N H C, Wade V J, Mann S and Pootrakul P.
Organ-specific Crystalline Structures of Ferritin Cores in -thalassemia/hemoglobin E.
Biol. Metals 4 , 162-165 (1991). Mann S and Perry C C.
Solid State Bioinorganic Chemistry; Mechanisms and Models of Biomineralization. Adv. Inorg. Chem. 36 , 137-200 (1991). 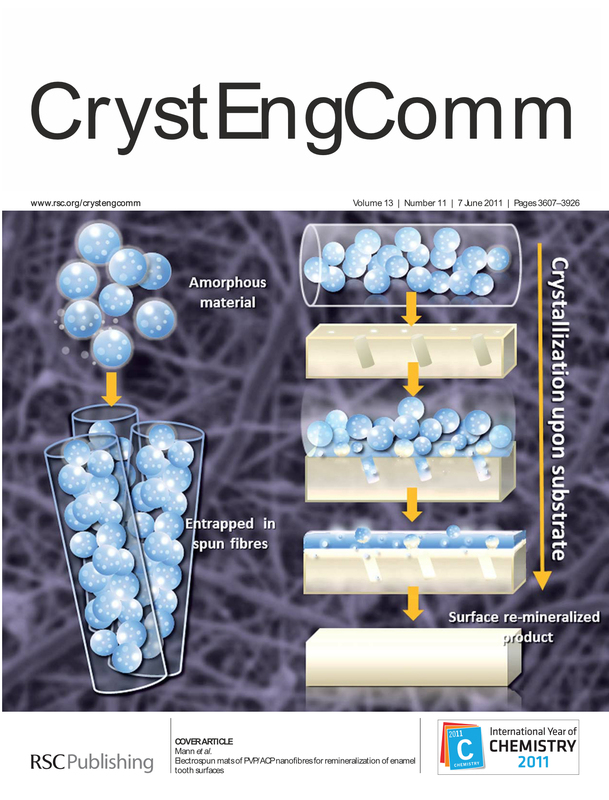 Biomineralization; a Novel Approach to Crystal Engineering. Endeavour 15 , 120-125 (1991). Meldrum F C, Wade V J, Nimmo D L, Heywood B R and Mann S.
Synthesis of Inorganic Nanophase Materials in Supramolecular Protein Cages. Nature 349 , 684-687 (1991). Wade V J, Levi S, Arosio P, Treffry A, Harrison P M and Mann S.
Reconstitution of Iron Cores in Recombinant Homopolymer and Human H-chain Variant Ferritins. J. Mol. Biol . 221, 1443-1452 (1991). Reeves N J and Mann S.
Influence of Inorganic and Organic Additives on the Tailored Synthesis of Iron Oxides. J. Chem. Soc. Farad. Trans. 1 87 , 3875-3880 (1991). Titiloye J O, Parker S C, Osguthorpe D J and Mann S.
Predicting the Influence of Growth Additives on the Morphology of Ionic Crystals. J. Chem. Soc. Chem. Commun. 1494-1496, (1991). Walker J B A, Heywood B R and Mann S.
Oriented Nucleation of CaCO3 from Metastable Solutions under Langmuir Monolayers. J. Materials Chem . 1, 889-890 (1991). 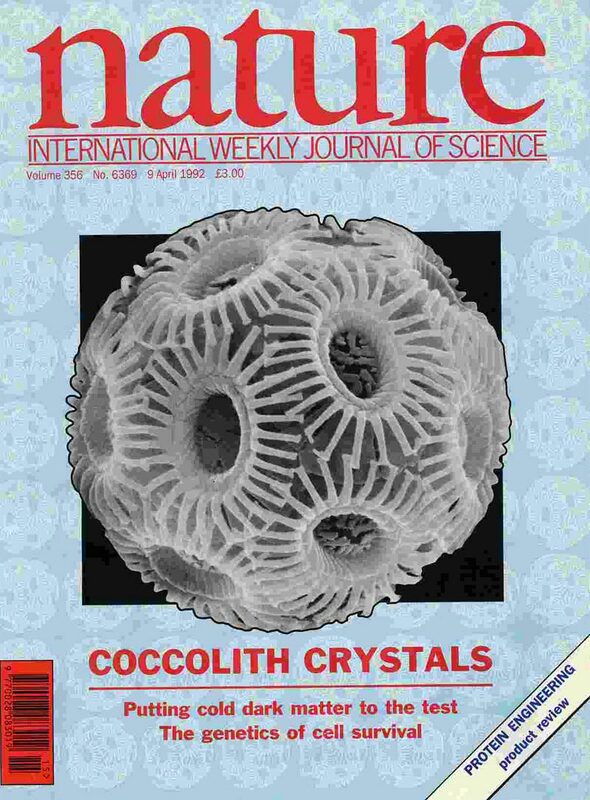 Young J R, Didymus J M, and Mann S.
On the Reported Presence of Vaterite and Aragonite in Coccoliths of Emiliania huxleyi. Botanica Marina 34 , 589-591 (1991). Mann S, Sparks N H C, Frankel R B, Bazylinski D A and Jannasch H W.
Biomineralization of Ferrimagnetic Greigite (Fe3S4) and Pyrite (FeS2) in a Magnetotactic Bacterium. Nature 343 , 258-261 (1990). Mann S, Sparks N H C and Board R G.
Magnetotactic Bacteria: Microbiology, Biomineralization, Palaeomagnetism and Biotechnology. Adv. Microbial Phys. 31 , 125-181 (1990). St Pierre T G, Kim K S, Webb J and Mann S.
Biomineralization of Iron: Mössbauer Spectroscopy and Electron Microscopy Studies of the Low Phosphate Content Ferritin Cores from the Chiton Acanthopleura hirtosa and the Limpet Patella laticostata. Inorg. Chem . 29, 1870-1874 (1990). New Scientist No. 1707, 42-47 (1990). Sparks N H C, Mann S, Bazylinski D A, Lovley D R, Jannasch H W and Frankel R B. Structure and Morphology of Magnetite formed by a Marine Magnetotactic Bacterium and Dissimilatory Iron-reducing Bacteria. Earth Planet. Sci. Letts. 98 , 14-22 (1990). Mann S, Didymus J M, Sanderson N P, Aso-Samper E J and Heywood B R.
Morphological Influence of Functionalized and Non-functionalized ,-dicarboxylates on Calcite Crystallization. J. Chem. Soc. Faraday Trans.1 86 , 1873-1880 (1990). Heywood B R, Sparks N H C, Shellis R P, Weiner S and Mann S.
Ultrastructure, Morphology and Crystal Growth of Biogenic and Synthetic Apatites. Connective Tiss. Res. 25 , 1-17 (1990). Heywood B R, Fendler J H and Mann S.
In situ Imaging of Semiconductor Particles in Surfactant Vesicles. J. Colloid. Interface Sci. 138 , 295-298 (1990). Mann S, Heywood B R, Rajam S, Walker J B A, Davey R J and Birchall J D.
Crystal Synthesis under Langmuir Monolayers. Adv. Materials 2 , 257-261 (1990). Sparks N H C, Motta P J, Shellis R P, Wade V J and Mann S.
An Analytical Electron Microscopy Study of Iron-rich Teeth from the Butterfly Fish Chaetodon ornatissimus. J. Exptl. Biol . 151, 371-385 (1990). Rajam S and Mann S.
Selective Stabilization of the (001) Face of Calcite in the Presence of Lithium. J. Chem. Soc. Chem. Commun. 1789-1791 (1990). Heywood B R, Bazylinski D A, Garratt-Reed, Mann S and Frankel R B. Controlled Biosynthesis of Greigite (Fe3S4) in Magnetotactic Bacteria. Naturwissenschaft . 77, 536-538 (1990). Dickson D P E, Reid N M K, Mann S, Wade V J, Ward R J and Peters T J.
Mössbauer Spectroscopy, Electron Microscopy and Electron Diffraction Studies of Small Particle Magnetic Systems: Identification of Disease-specific Haemosiderins. Hyperfine Interactions 45 , 225-231 (1989). Kim K S, Macey D J, Webb J and Mann S.
Proc. R. Soc. Lond. B. 237 , 335-346 (1989). 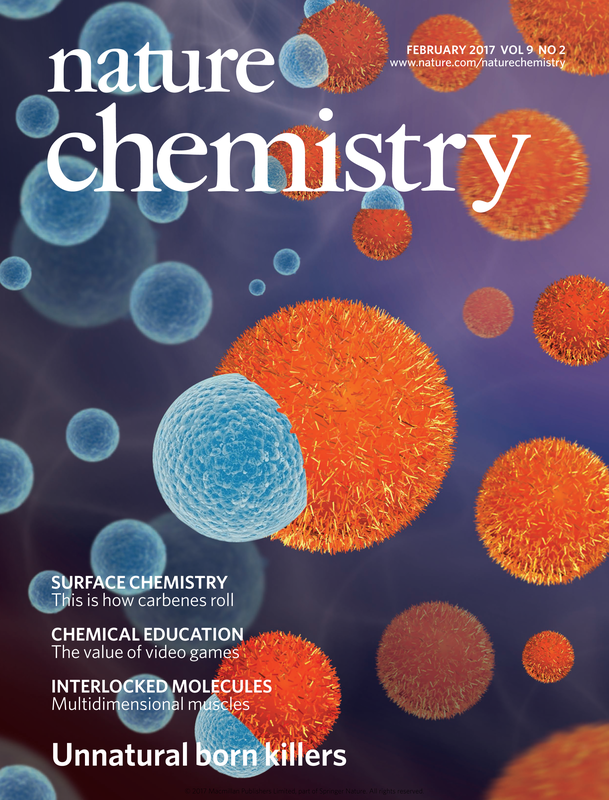 Mann S, Heywood B R, Rajam S and Birchall J D.
Interfacial Control of Nucleation of Calcium Carbonate under Organised Stearic Acid Monolayers. Proc. R. Soc. Lond. A. 423 , 457-471 (1989). Mann S, Sparks N H C, Couling S B, Larcombe M C and Frankel R B.
Crystallochemical Characterisation of Magnetic Spinels Prepared from Aqueous Solution. J. Chem. Soc. Farad. 1 85 , 3033-3045 (1989). Mann S and Heywood B R.
Crystal Engineering at Inorganic-organic Interfaces. Chem. Brit. 25 , 698-700 (1989). Ward R J, O’Connell M J, Dickson D P E, Reid N M K, Wade V J, Mann S, Bomford A and Peters T J.
Biochemical Studies of the Iron Cores and Polypeptide Shells of Haemosiderin Isolated from Patients with Primary or Secondary Haemochromatosis. Biochim. Biophys. Acta 993 131-133 (1989). Mann S, Mann H and Fyfe W S.
Intracellular Aragonite Crystals in the Fresh Water Alga Spirogyra sp. Min. Mag . 52, 241-245 (1988). 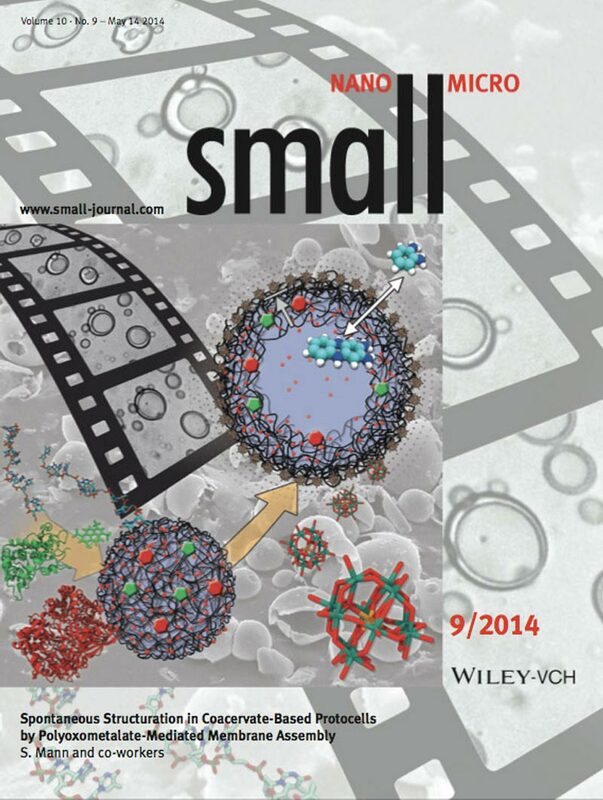 Mann S and Hannington J P.
Formation of Iron Oxides in Unilamellar Vesicles. J. Colloid. Interface Sci. 122 , 326-335 (1988). Quin T G, Long G J, Benson C G, Mann S and Williams R J P.
Influence of Silicon and Phosphorus on the Structural and Magnetic Properties of Synthetic Goethite and Related Oxides. Clays Clay Min . 36, 165-175 (1988). Nature 332 , 119-124 (1988). Mann S, Wade V J, Dickson D P E, Reid N M K, Ward R J, O’Connell M and Peters T J. Structural Specificity of Haemosiderin Iron Cores in Iron-overload Diseases. FEBS Letts . 234, 69-72 (1988). Controlled Crystallization of CaCO3under Stearic Acid Monolayers. Nature 334 , 692-695 (1988). Heywood B R, Rajam S, Birchall J D and Mann S.
Crystallochemical Recognition at Organised Inorganic-organic Interfaces. Biochem. Soc. Trans. 16 , 824 (1988). Wade V J, Mann S, Reid N M K, Dickson D P E, Bomford A and Peters T J. Heterogeneity of Iron Cores in Hepatic Haemosiderins from Primary and Secondary Haemochromatosis. Biochem. Soc. Trans. 16 , 830-831 (1988). Andrews S C, Brady M C, Treffry A, Williams J M, Mann S, Cleton M I, de Bruijn W C and Harrison P M.
Studies on Haemosiderin and Ferritin from Iron-Overloaded Rat Liver. Biology of Metals 1 , 33-42 (1988). Calvert P D and Mann S.
Synthetic and Biological Composites Formed by in situ Precipitation. J. Mat. Sci. 23 , 3801-3815 (1988). Mann S, and Sparks N H C.
Single Crystalline Nature of Coccolith Elements of the Marine Alga Emiliania huxleyi as determined by Electron Diffraction and High Resolution Electron Microscopy. Proc. R. Soc. Lond. B 234 , 441-453 (1988). Mann S, Sparks N H C, Scott G H E and de Vrind-de Jong E W.
Oxidation of Manganese and Formation of Mn3O4 (Hausmannite) by Spore Coats of a Bacillus. Appl. Environ. Microbiol. 54 , 2140-2143 (1988). Mann S, Sparks N H C, Walker M M and Kirschvink J L.
Ultrastructure, Morphology and Organization of Biogenic Magnetite from Sockeye Salmon, Oncorhyncus nerka: Implications for Magnetoreception. J. Exptl. Biol. 140 , 35-49 (1988). Mössbauer Spectroscopy, Electron Microscopy and Electron Diffraction Studies of the Iron Cores in Various Human and Animal Haemosiderins. Biochim. Biophys. Acta 957 , 81-90 (1988). Chem. Brit. 23 , 137-140 (1987). High Resolution Structural and Analytical Studies of Biominerals. Life Chem. Reports 4 , 219-272 (1987). Mann S, Sparks N H C and Blakemore R P.
Ultrastructure and Characterization of Anisotropic Magnetic Inclusions in Magnetotactic Bacteria. Proc. R. Soc. Lond. B. 231 , 469-476 (1987). Structure, Morphology and Crystal Growth of Anisotropic Magnetite Crystals in Magnetotactic Bacteria. Proc. R. Soc. Lond. B . 231, 477-487 (1987). Mann S, Williams J M, Treffry A and Harrison P M.
Reconstituted and Native Iron Cores of Bacterioferritin and Ferritin. J. Mol. Biol . 198, 405-416 (1987). Treffry A, Harrison P M, Cleton M I, de Bruijn W C and Mann S.
A Note on the Composition and Properties of Ferritin Iron Cores. J. Inorg. Biochem. 31 , 1-6 (1987). Mann S and Calvert P D.
Trends in Biotechnology 5 , 309-314 (1987). Mann H, Mann S and Fyfe W S.
Aragonite Crystals in Spirogyra sp. (Chlorophyta). J. Phycol . 23, 506-509 (1987). Mann S, Bannister J V and Williams R J P.
Structure and Composition of Ferritin Cores Isolated from Human Spleen, Limpet (Patella vulgata) Hemolymph and Bacterial ( Pseudomonas aeruginosa) Cells. J. Mol. Biol. 188 , 225-232 (1986). Mann S, Perry C C, Webb J and Williams R J P.
Structure, Composition and Organization of Biogenic Minerals in Limpet Teeth. Proc. R. Soc. Lond. B . 227, 179-190 (1986). St Pierre T G, Mann S, Webb J, Dickson D P E, Runham N W and Williams R J P.
Iron Oxide Mineralization in the Radula Teeth of the Limpet Patella vulgata; Mössbauer Spectroscopy and High Resolution Transmission Electron Microscopy Studies. Proc. R. Soc. Lond. B . 228, 31-42 (1986). Webb J, Mann S, Bannister J V and Williams R J P.
Biomineralization of Iron: Isolation of Ferritin from the Hemolymph of the Limpet Patella vulgata. Inorg. Chim. Acta 124 , 37-40 (1986). St Pierre T G, Bell S H, Dickson D P E, Mann S, Webb J, Moore G R and Williams R J P.
Mössbauer Spectroscopy Studies of the Cores of Human, Limpet and Bacterial Ferritins. Biochim. Biophys. Acta 870 , 127-134 (1986). St Pierre T G, Dickson D P E, Webb J and Mann S.
Some Magnetic Properties of the Cores of Various Ferritins. Hyperfine Interactions 29 , 1427-1430 (1986). 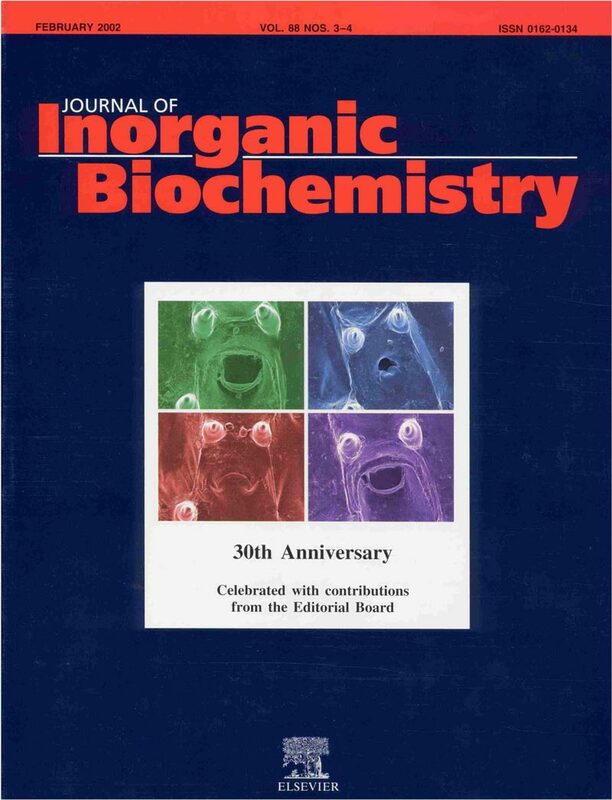 Biomineralization: A New Horizon in Bioinorganic Chemistry. Chemie in Unserer Zeit 20, 69-76 (1986). The Study of Biominerals by High Resolution Transmission Electron Microscopy. Scanning Electron Microscopy II 393-413 (1986). On the Nature of Boundary-organised Biomineralization. J. Inorg. Biochem. 28 , 363-370 (1986). Moore G R, Mann S and Bannister J V.
Isolation and Properties of the Complex Non-haem Iron-containing Cytochrome b557.5 (Bacterioferritin) from Pseudomonas aeruginosa. J. Inorg. Biochem. 28 , 329-336 (1986). Mann S, Hannington J P and Williams R J P.
Phospholipid Vesicles as a Model System for Biomineralization. Nature 324 , 565-567 (1986). Sparks N H C, Cortaux L, Mann S and Board R G.
Magnetotactic Bacteria are Widely Distributed in Sediments in the UK. FEMS Letts . 37, 305-308 (1986). Grime G W, Watt F, Mann S, Perry C C, Webb J and Williams R J P.
Biological Applications of the Oxford Scanning Proton Microprobe. Trends Biol. Sci. 10 , 6-10 (1985). Mann S, Cornell R M and Schwertmann U. The Influence of Aluminium on Iron Oxides XII. High Resolution Electron Microscopic Study of Aluminous Goethites. Clays Clay Min . 20, 255-265 (1985). Couling S B and Mann S.
Influence of Inorganic Phosphate on the Crystallization of Magnetite from Aqueous Solution. J. Chem. Soc. Chem. Comm. 1713-1715 (1985). Mann S, Moench T T and Williams R J P.
A High Resolution Electron Microscopic Investigation of Bacterial Magnetite; Implications for Crystal Growth. Proc. R. Soc. Lond. B. 221 , 385-393 (1984). Mann S, Frankel R B and Blakemore R P.
Structure, Morphology and Crystal Growth of Bacterial Magnetite. Nature 310 , 405-406 (1984). Perry C C, Mann S and Williams R J P.
Structural and Analytical Studies of the Silicified Macrohairs on the Lemma of the Grass Phalaris canariensis. L.
Proc. R. Soc. Lond. B. 222 , 427-438 (1984). Lyster R C J, Mann S, Parker S B and Williams R J P.
The Nature of Micellular Calcium Phosphate in Cows Milk as Studied by High Resolution Electron Microscopy. Biochim. Biophys. Acta 801 , 315-317 (1984). Perry C C, Mann S, Williams R J P, Grime G W, Takacs J and Watt F.
A Proton X-ray Microprobe Study of Macrohairs from the Lemma of the Grass Phalaris canariensis L.
Proc. R. Soc. Lond. B. 222 , 439-4453 (1984). Cornell R M, Mann S and Skarnulis A J. A High Resolution Electron Microscopy Examination of Domain Boundaries in Crystals of Synthetic Goethite. J. Chem. Soc. Farad. Trans. 1 . 79, 2679-2684 (1983). Structure and Bonding 54 , 127-174 (1983). Mann S, Parker S B, Ross M D, Skarnulis A J and Williams R J P.
The Ultrastructure of Calcium Carbonate Balance Organs of the Inner Ear: An Ultra-high Resolution Electron Microscopy Study. Proc. R. Soc. Lond. B . 218, 415-424 (1983). Mann S, Parker S B and Williams R J P.
A Report on the Fourth International Symposium on Biomineralization. J. Inorg. Biochem. 18 , 169-173 (1983). Mann S, Perry C C, Williams R J P, Fyfe C A, Gobbi C and Kennedy G J. The Characterization of the Nature of Silica in Biological Systems. J. Chem. Soc. Chem. Comm. 168-170 (1983). Mann S and Williams R J P.
Precipitation within Unilamellar Vesicles. Part I. Studies of Silver (I) Oxide Formation. J. Chem. Soc. Dalton Trans . 311-316 (1983). Mann S, Kime M J, Ratcliffe R G and Williams R J P.
Precipitation within Unilamellar Vesicles. Part II. Membrane Control of Ion Transport. J. Chem Soc. Dalton Trans. 771-774 (1983). Birkhead M, Luke B and Mann S.
Intracellular Localization of Lead in the Tissues of the Mute Swan. Tissue and Cell 14 , 691-701 (1982). High Resolution Electron Microscopy Studies of the Silica Lorica in the Choanoflagellate Stephanoeca diplocostata Ellis. Proc. R. Soc. Lond. B . 216, 137-146 (1982). Mann S, Williams R J P, Sethuraman R and Pope M T.
New Organometallic Reagents for Electron Microscopy. J. Chem. Soc. Chem. Comm. 1083-1084 (1981). 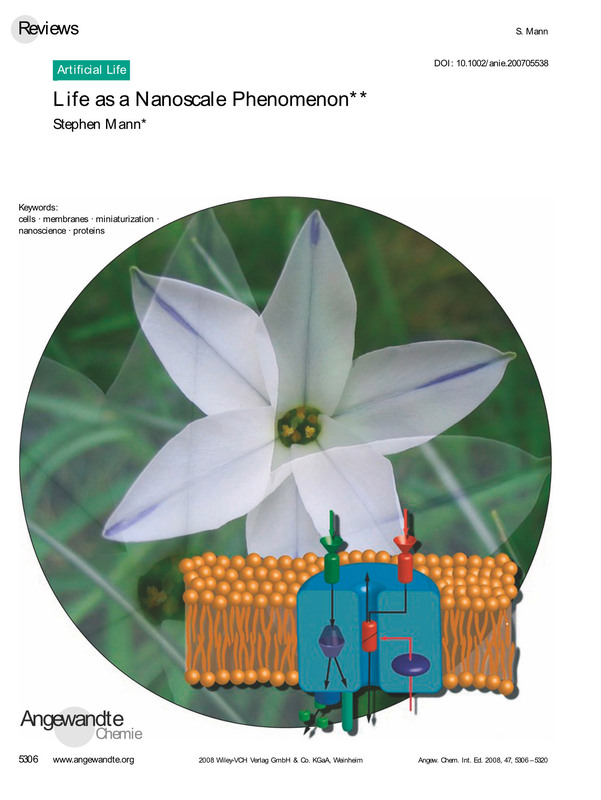 Mann S, Skarnulis A J and Williams R J P.
Inorganic and Bioinorganic Chemistry in Vesicles. Israel J. Chem. 21 , 3-7 (1981). Hutchison J L, Mann S, Skarnulis A J and Williams R J P.
Preparation of Ag2O Crystallites within Phospholipid Vesicles and their use in Nucleation Studies. J. Chem. Soc. Chem. Comm. 634-635 (1980). Location of Biological Compartments by High Resolution N.m.r. Spectroscopy and Electron Microscopy using Magnetite-containing Vesicles. J. Chem. Soc. Chem. Comm. 1067-1068 (1979).